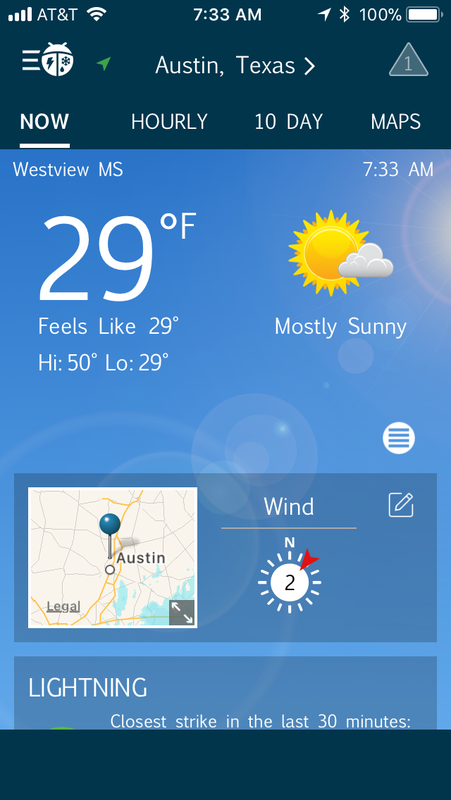 Being a native Wisconsinite, I’m used plenty of snow in the winter. 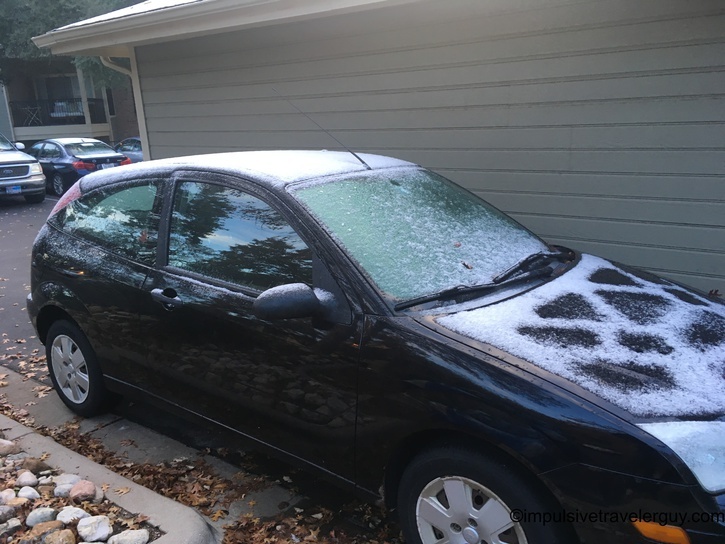 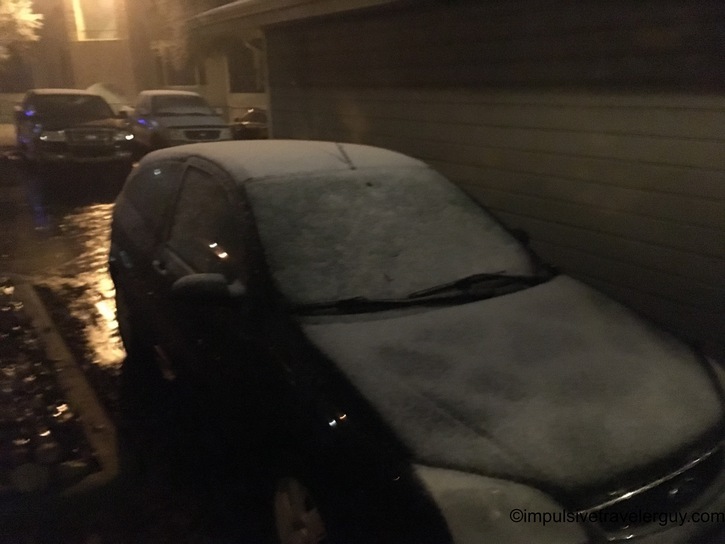 Usually the snow starts around Mid-October and doesn’t let up sometimes until early May. 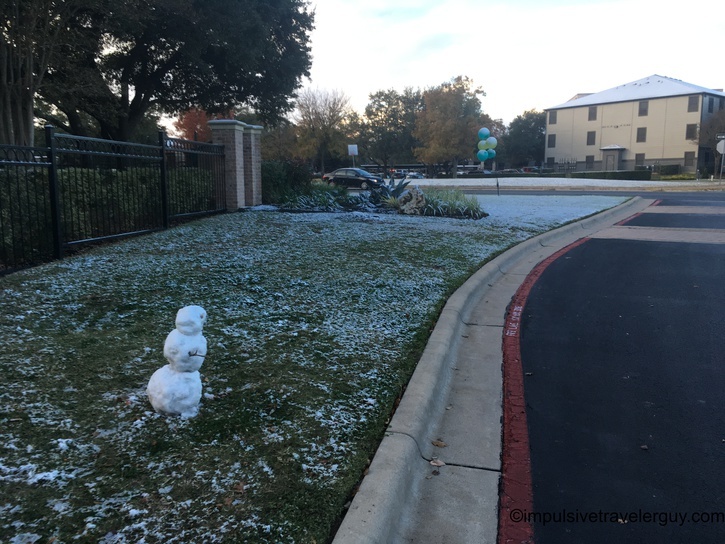 When there isn’t snow around Christmas, people tend to worry. 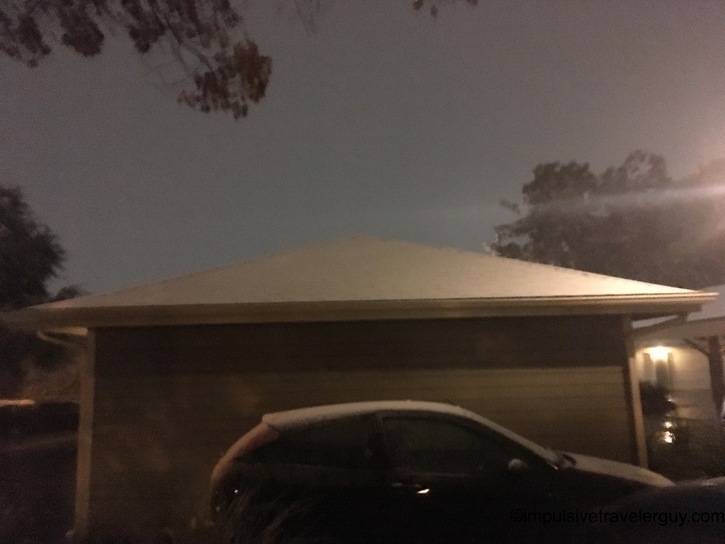 Snow is pretty much a way of life that people like me don’t have any issues braving it to drive through a blizzard in Canada. 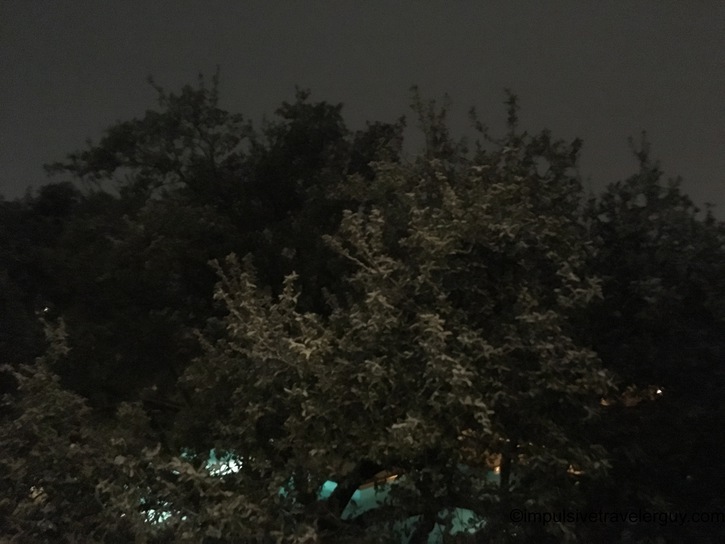 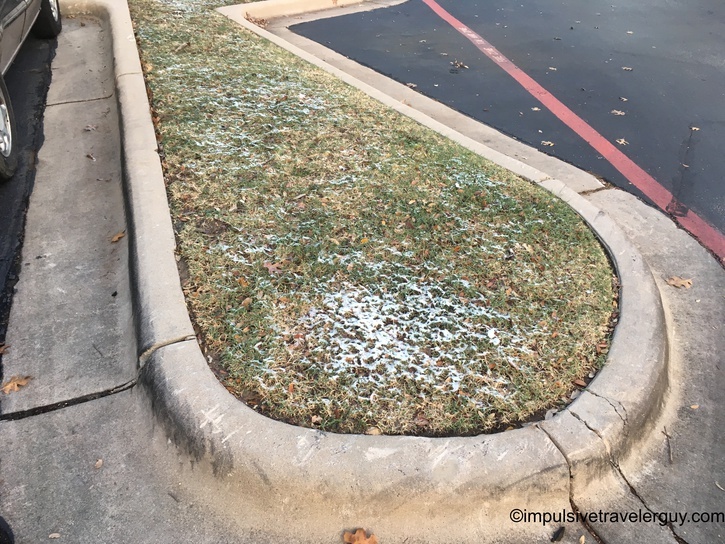 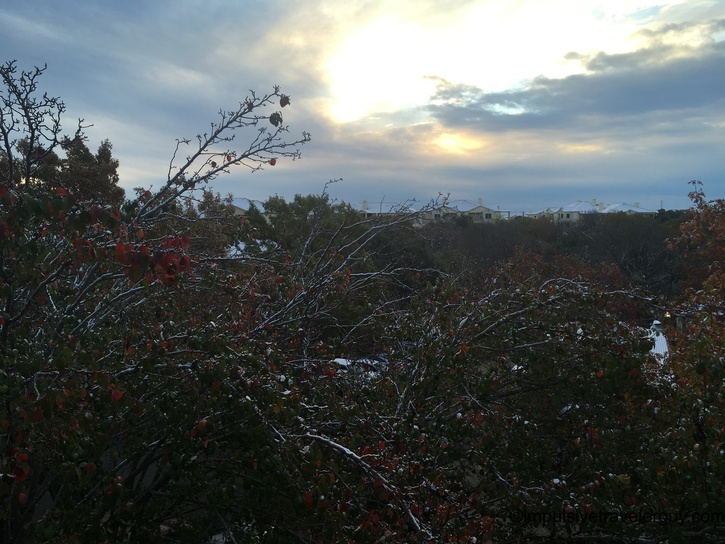 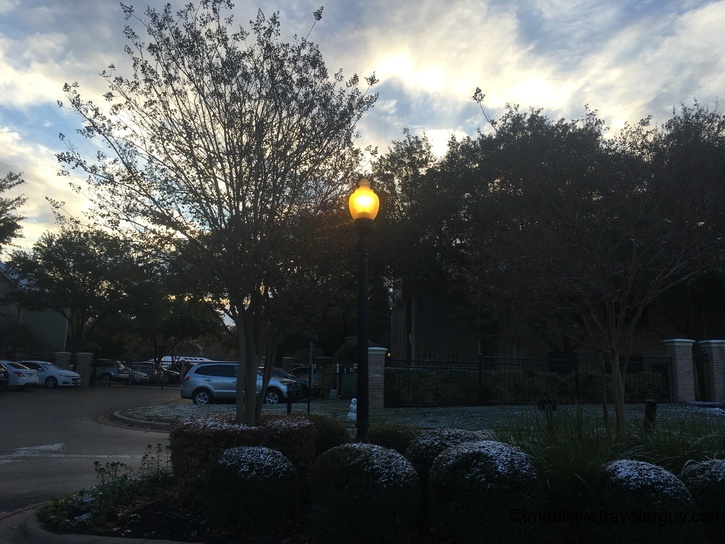 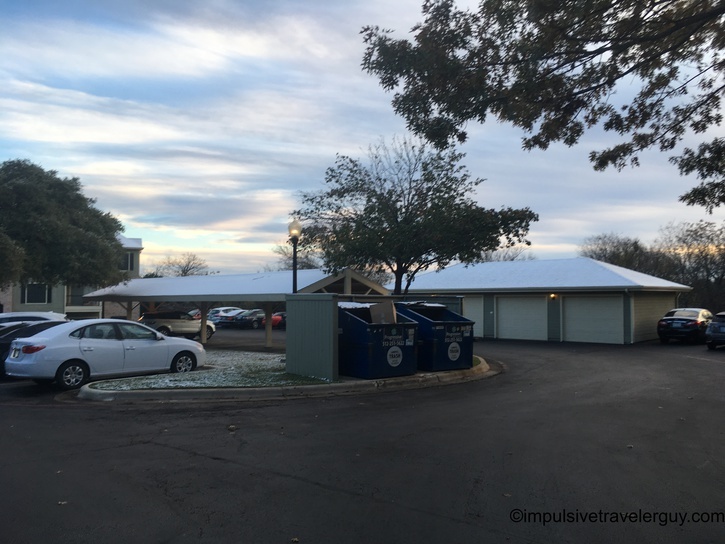 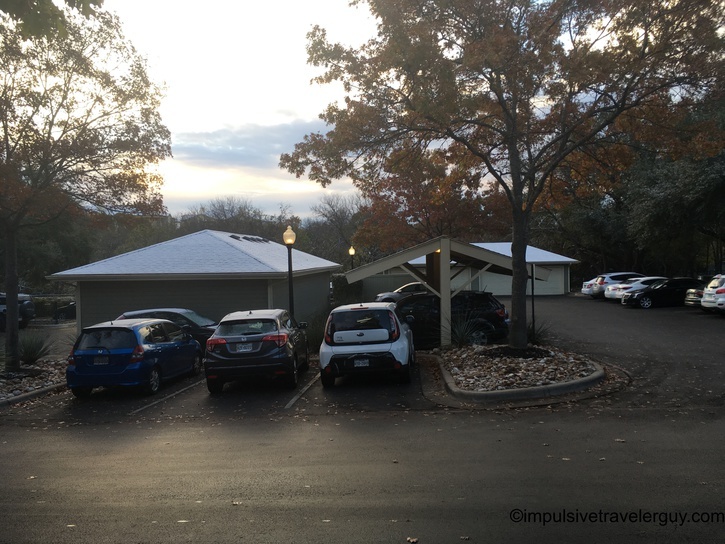 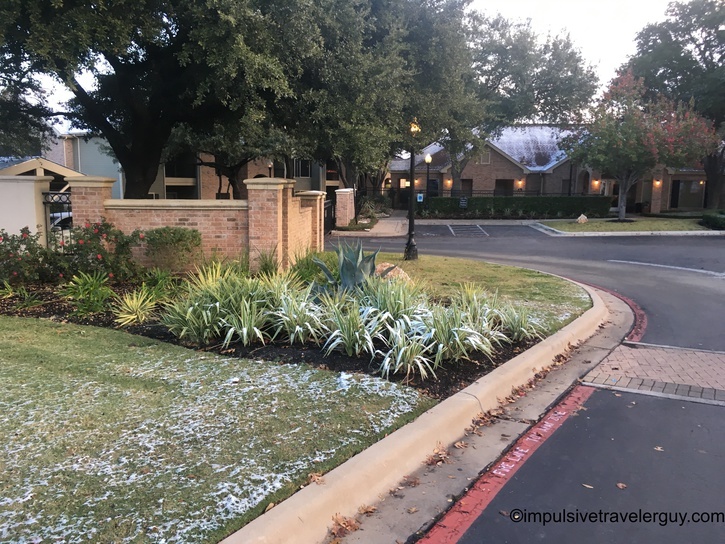 While in Wisconsin snow is a way of life, in Texas it is very rare. 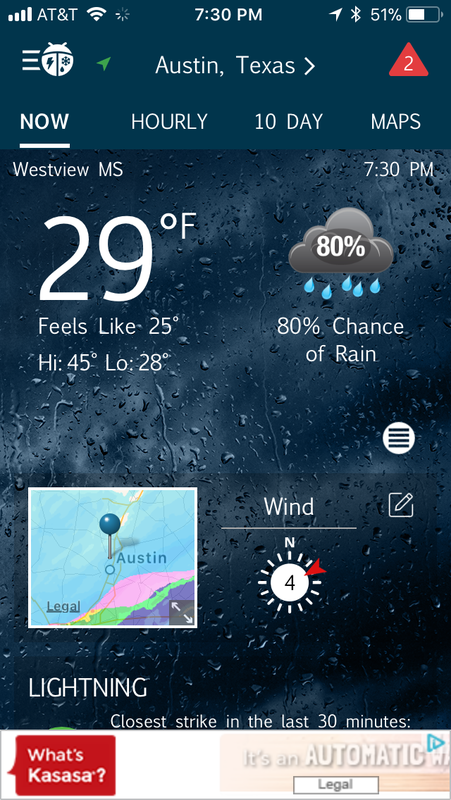 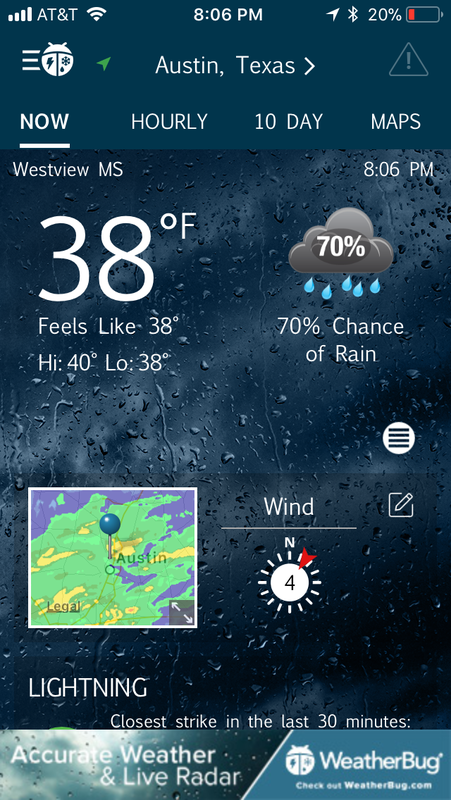 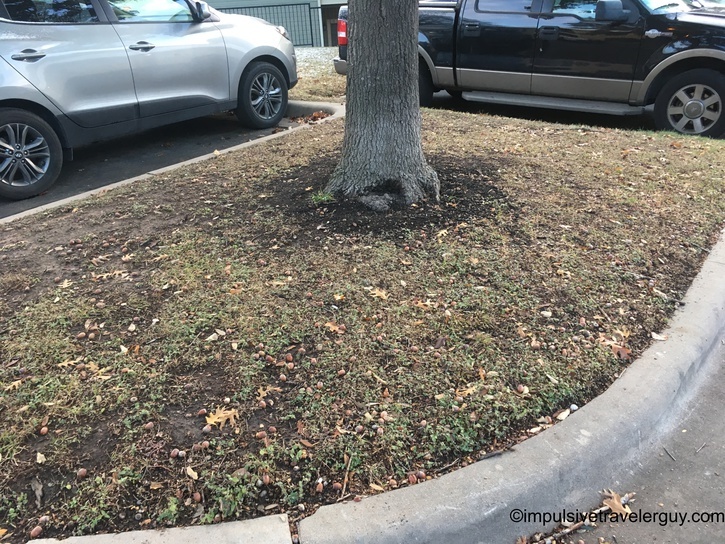 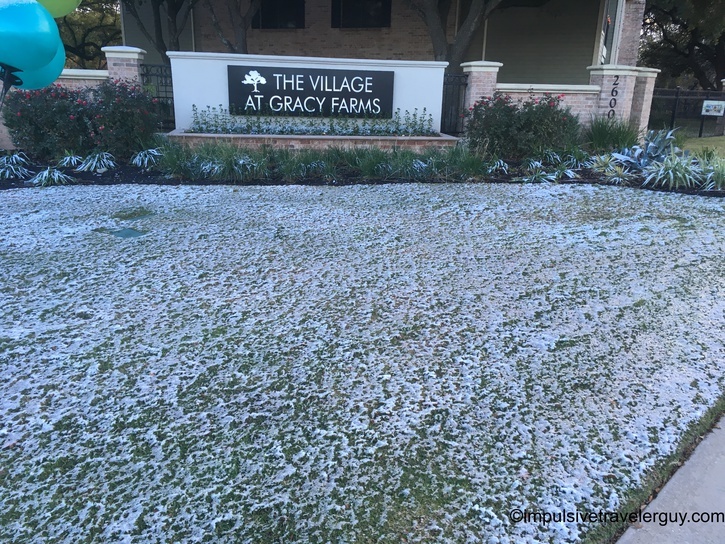 Even the mention of winter weather will cause things to shut down. 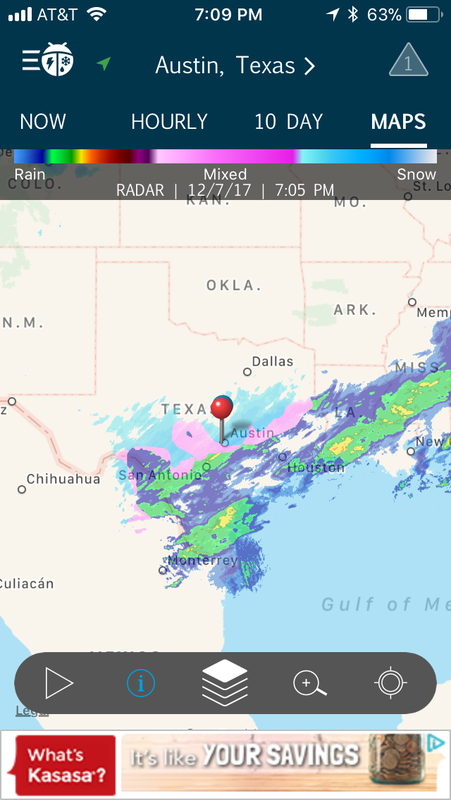 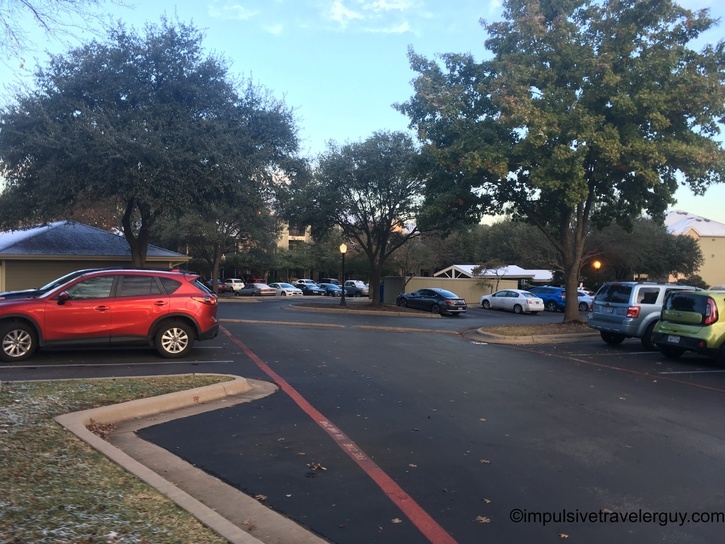 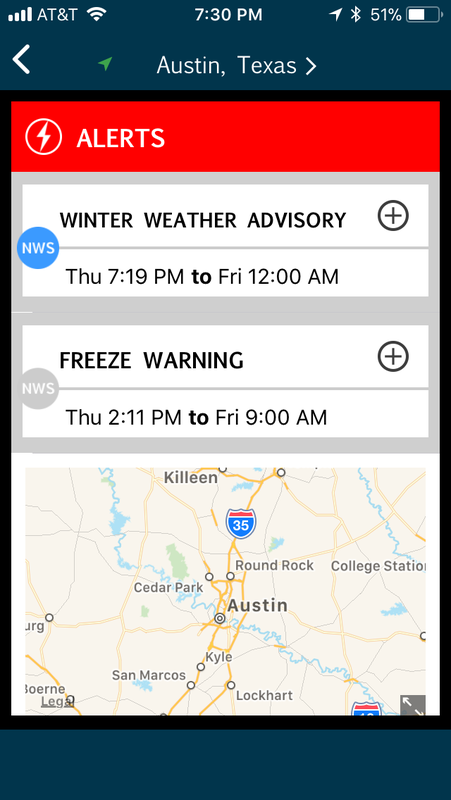 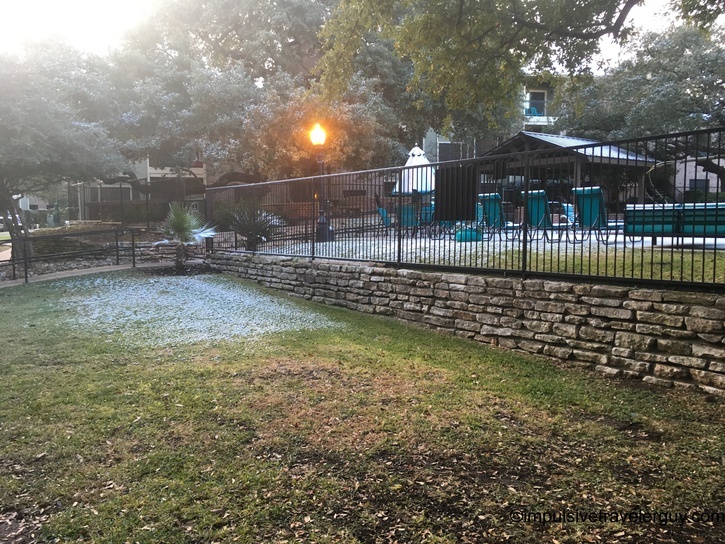 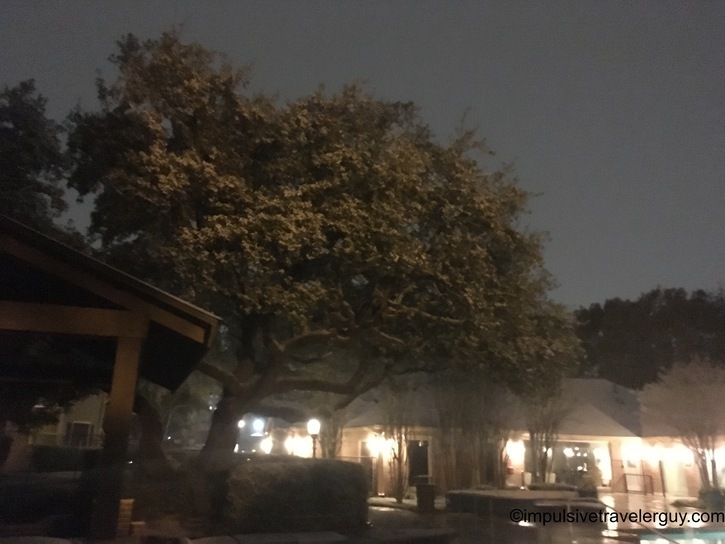 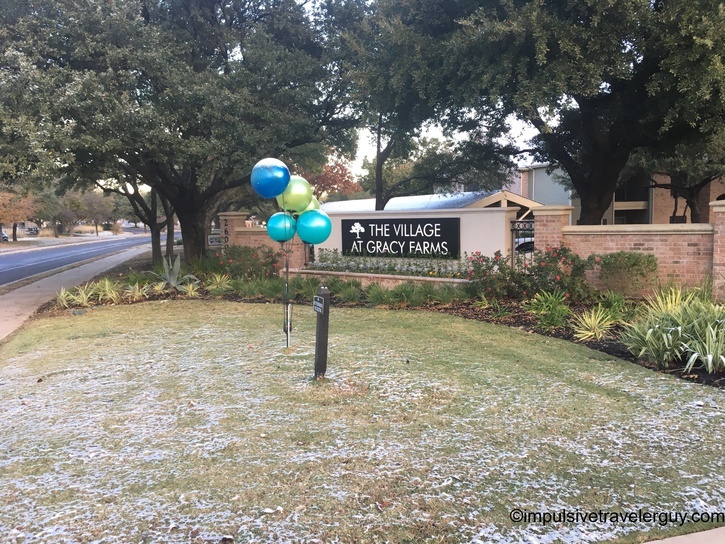 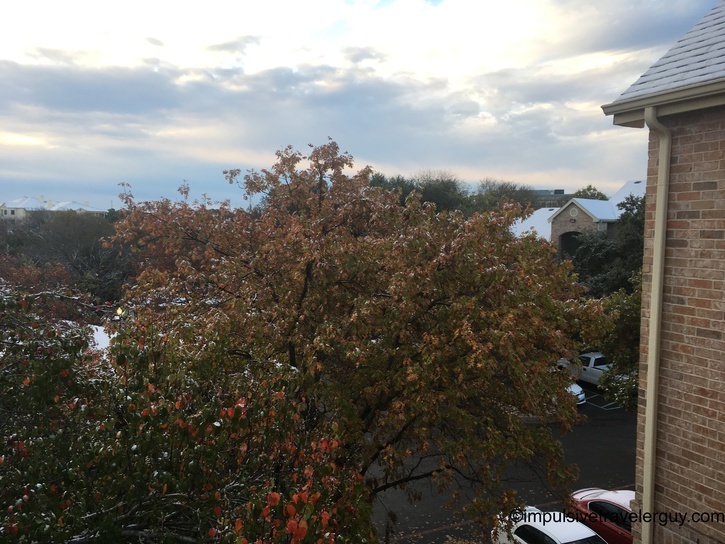 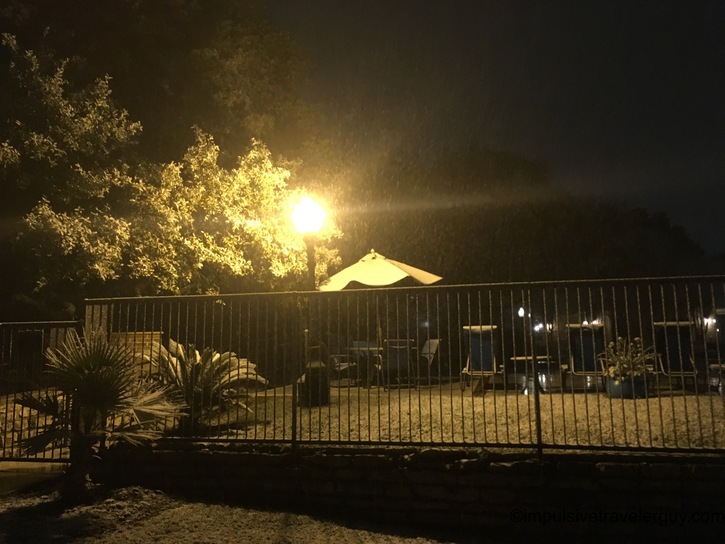 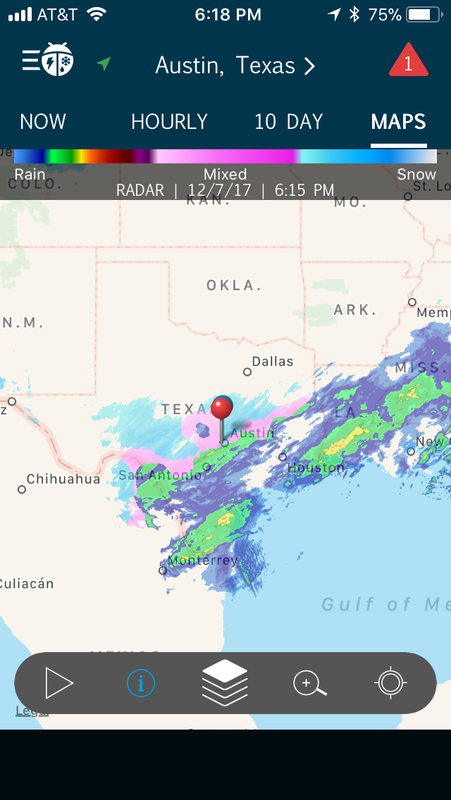 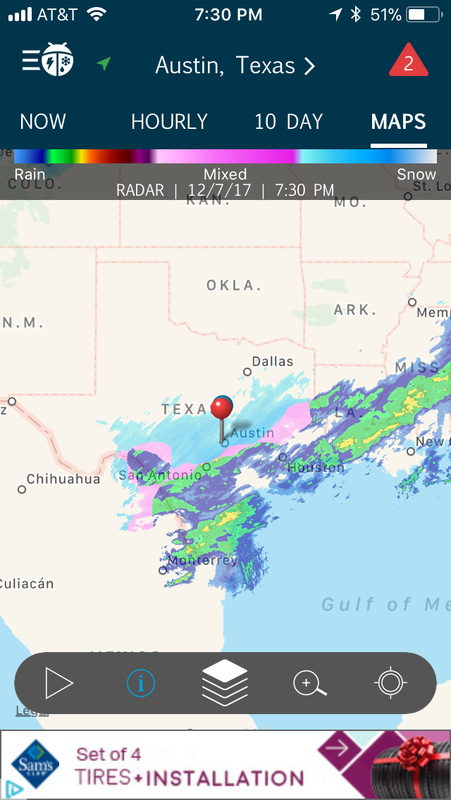 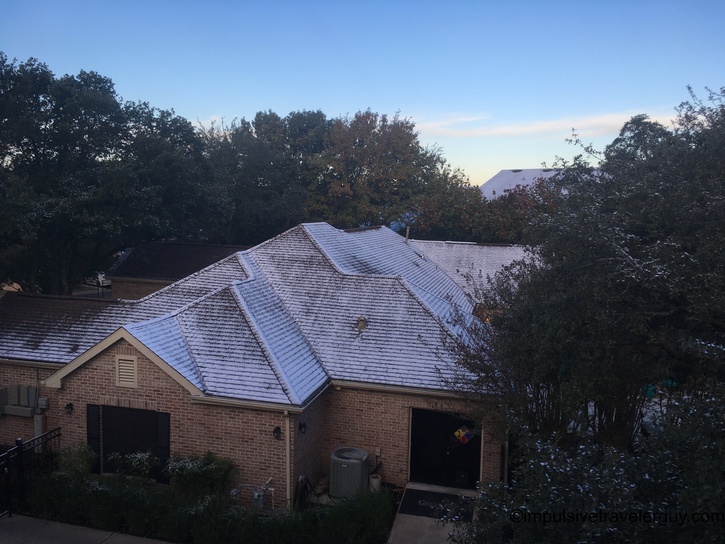 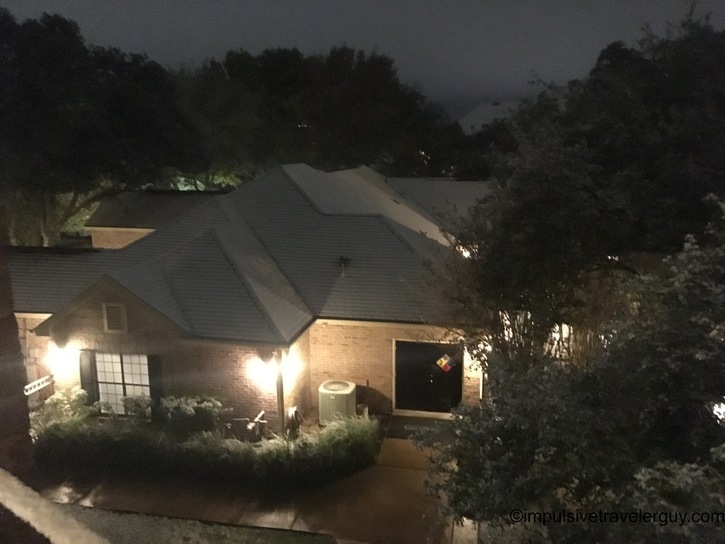 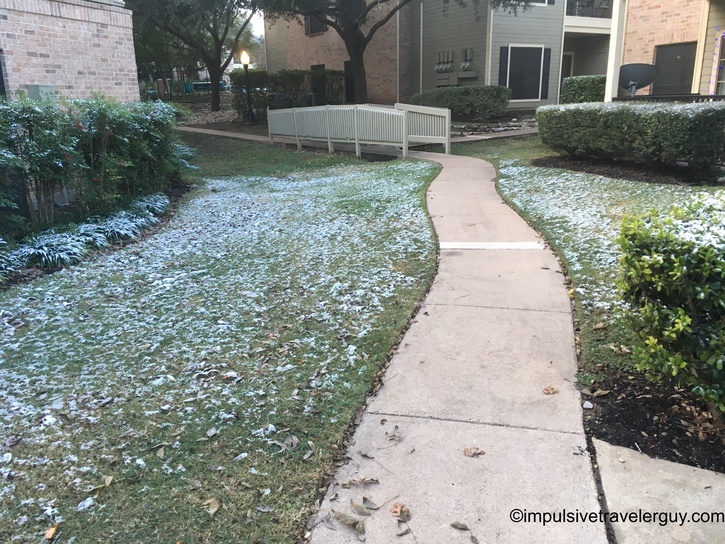 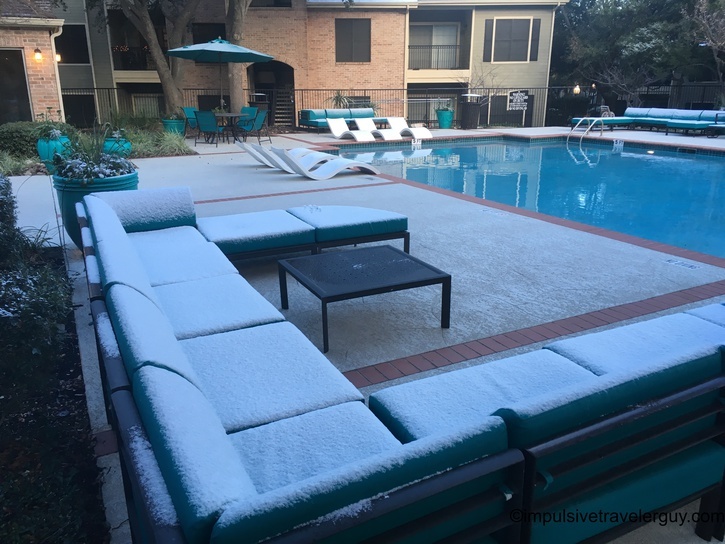 I remember one of my first blog entires being about a Texas snow day where there was a threat of winter weather and I basically got the day off of work. 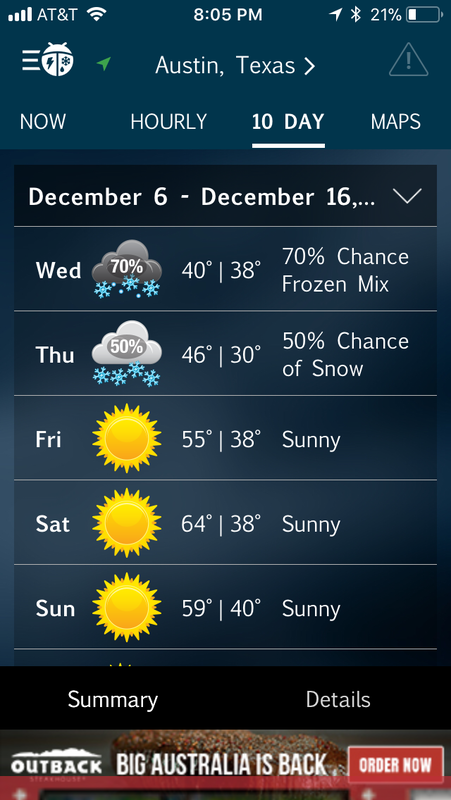 What I find interesting is the day before, there was a call for a 50% chance of snow. 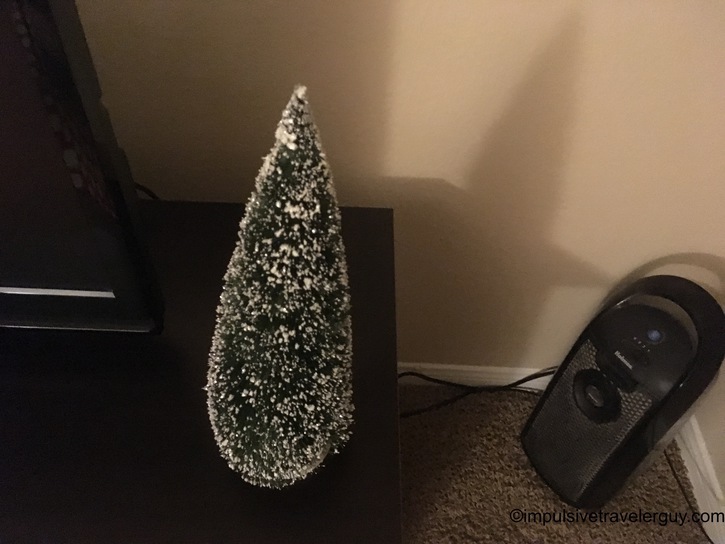 Victoria had brushed this off and even on the news they didn’t seem too concerned. 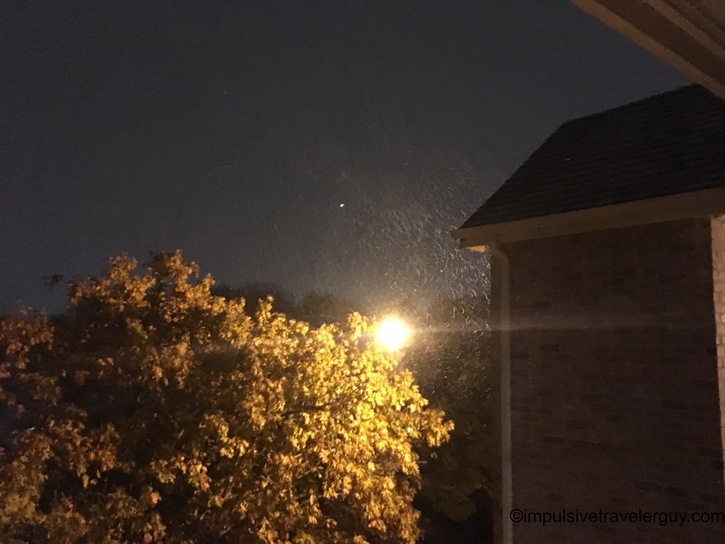 The conditions were actually just right for this kind of weather and it wasn’t a surprise when I actually started seeing snowflakes from my patio! 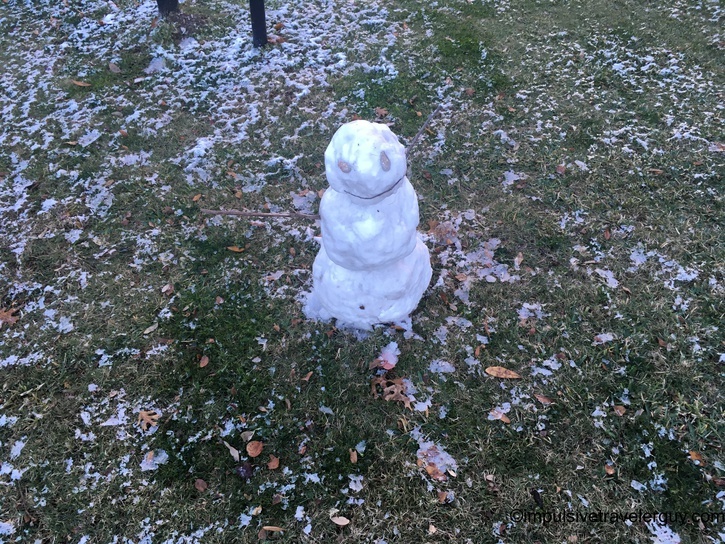 As time went on, it got a bit cooler. 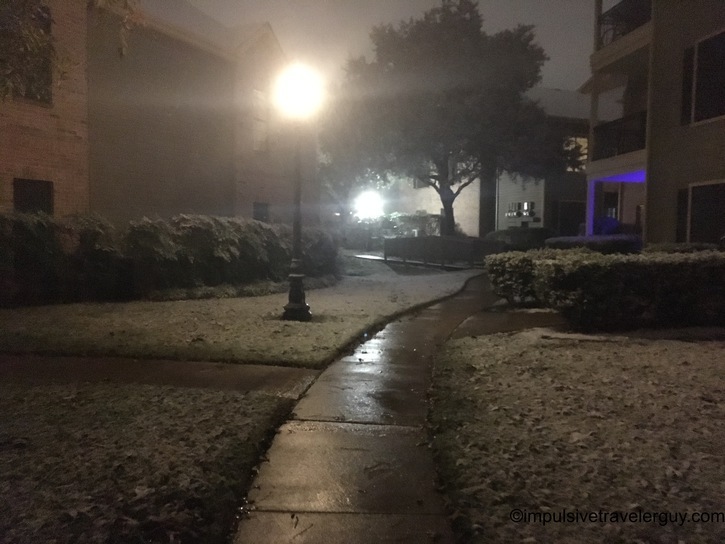 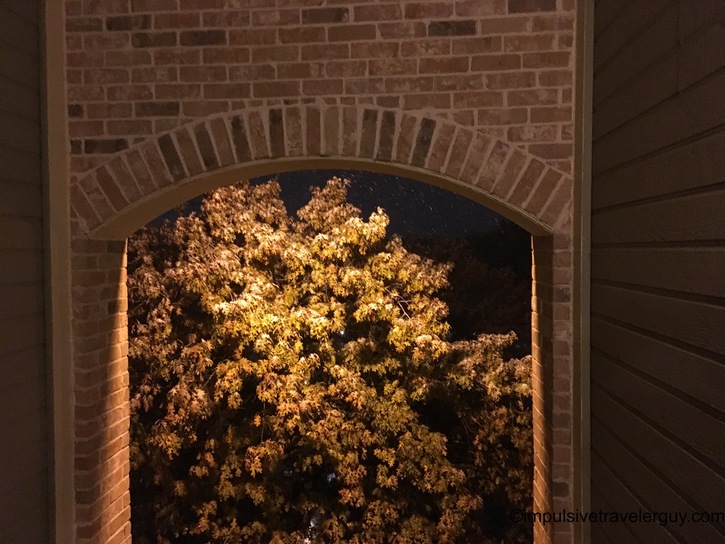 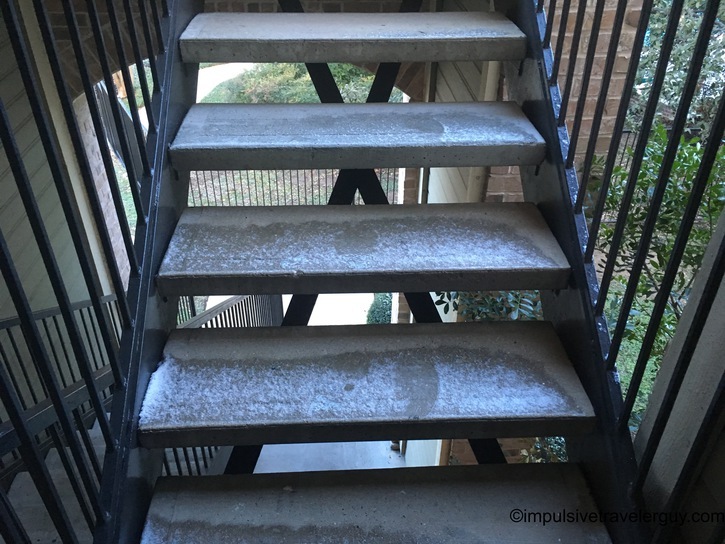 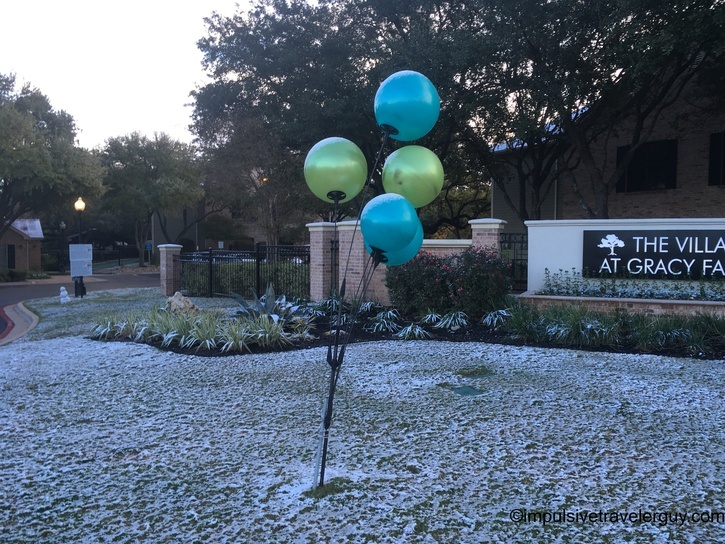 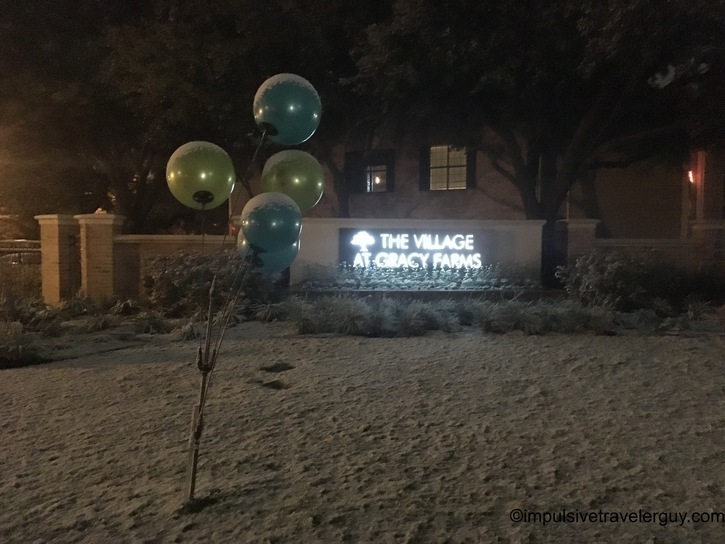 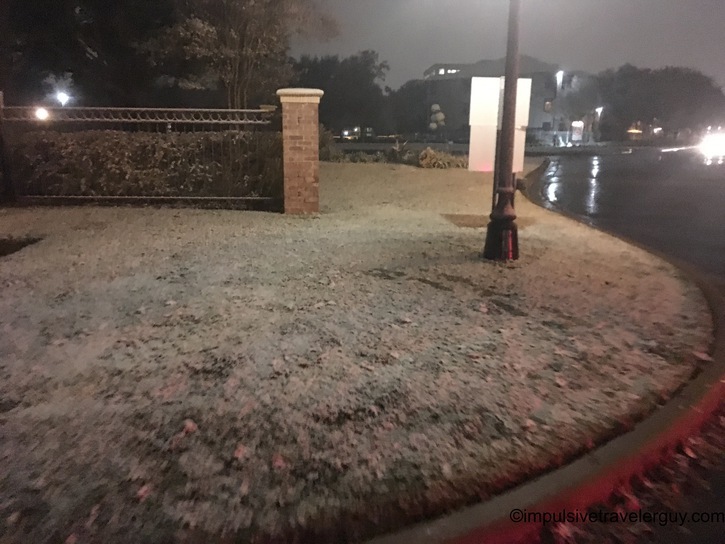 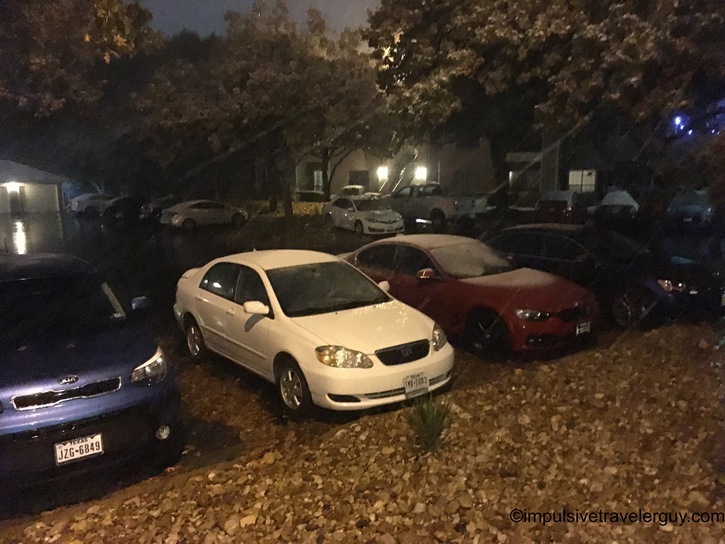 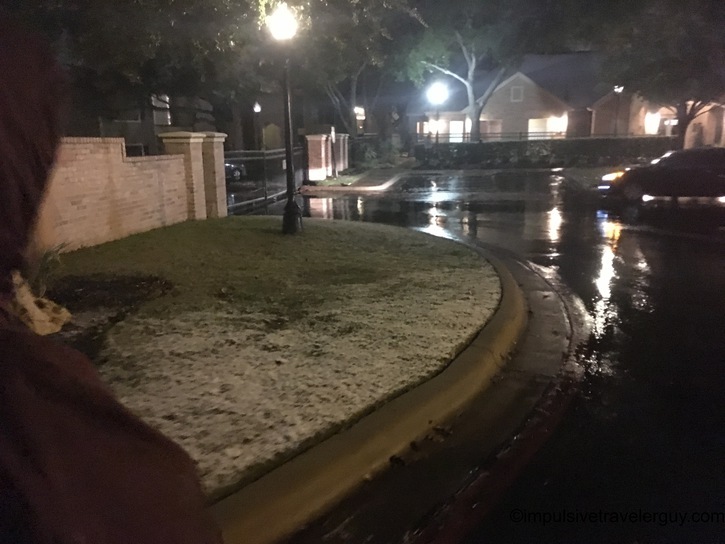 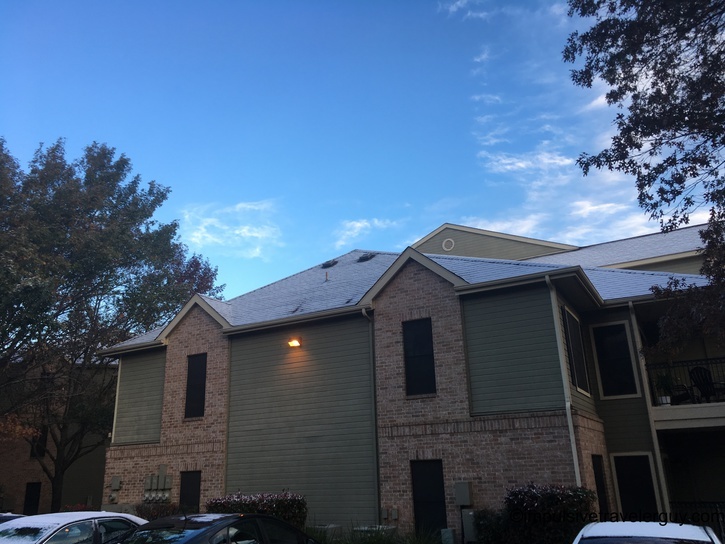 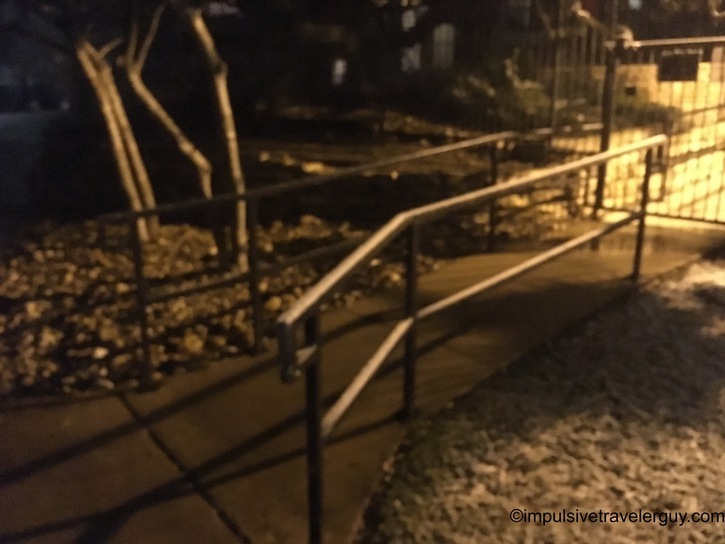 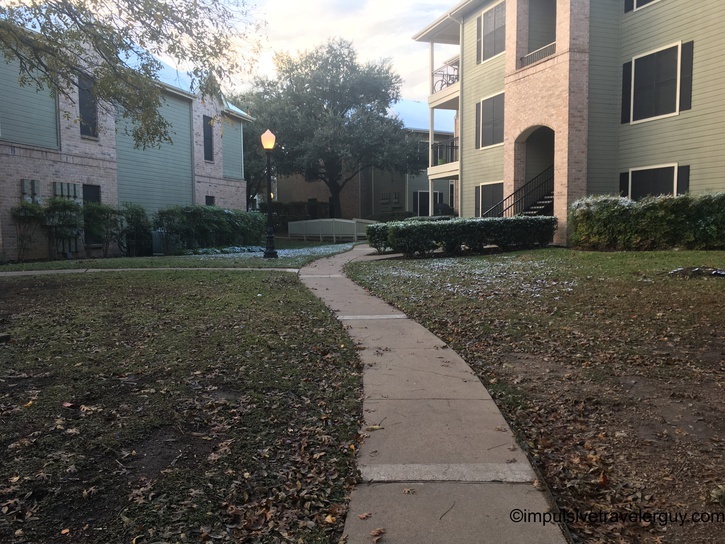 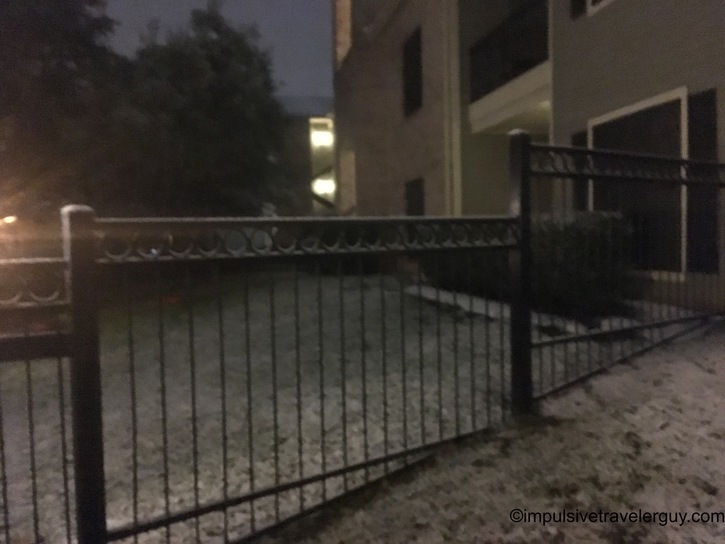 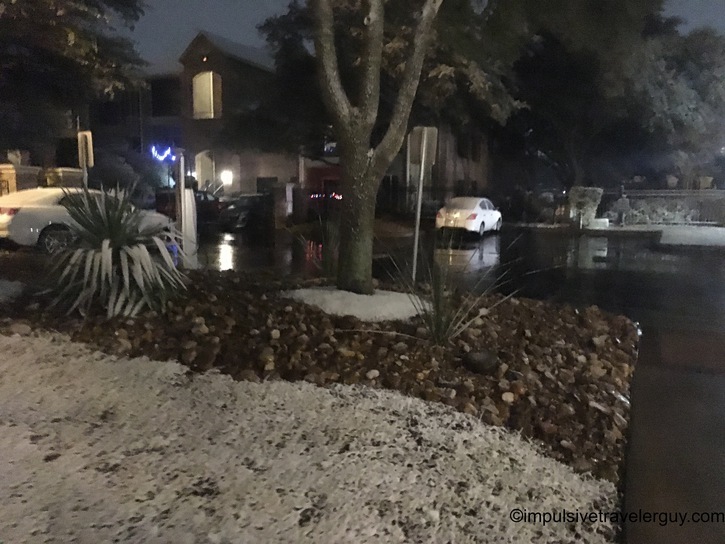 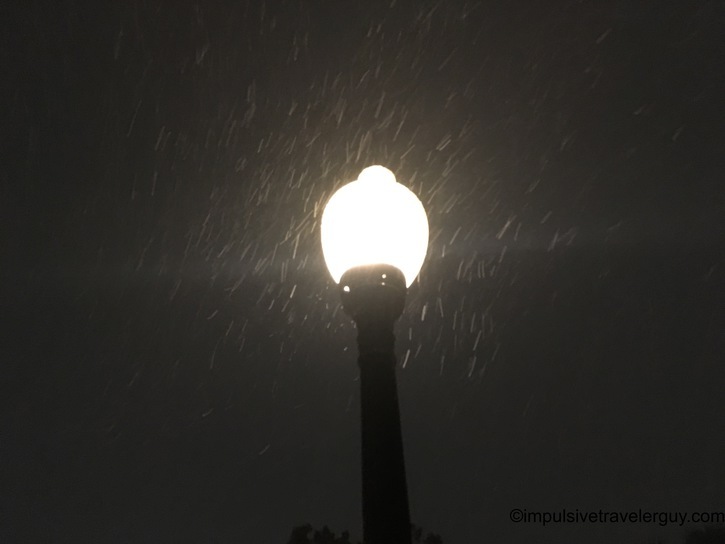 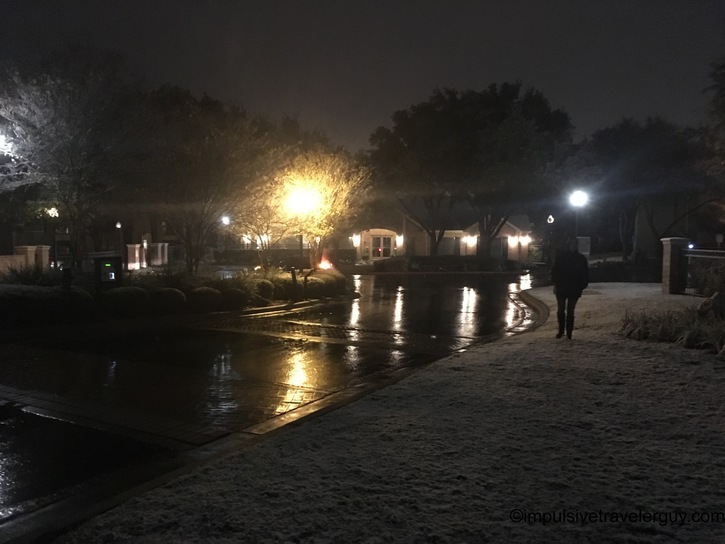 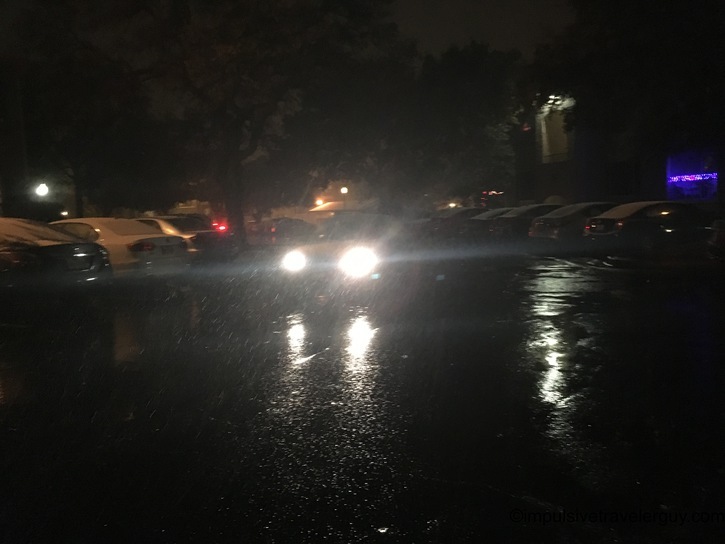 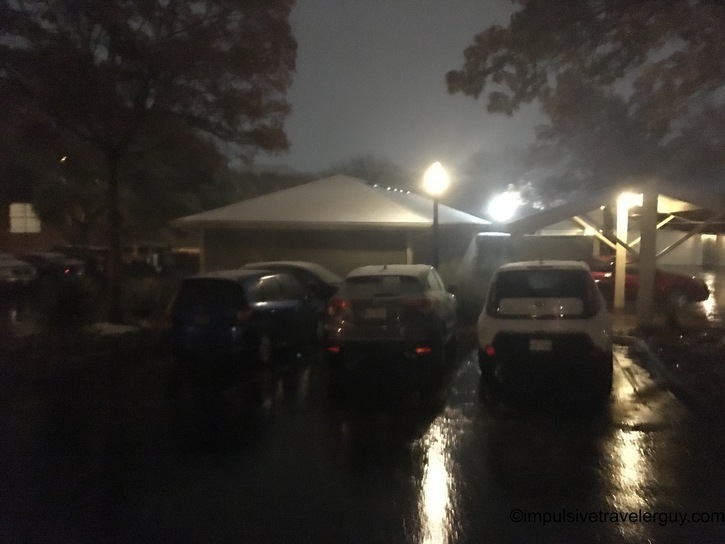 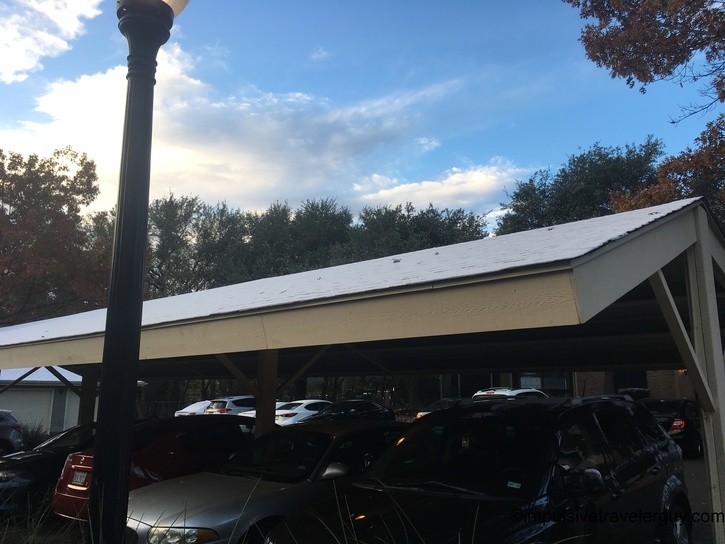 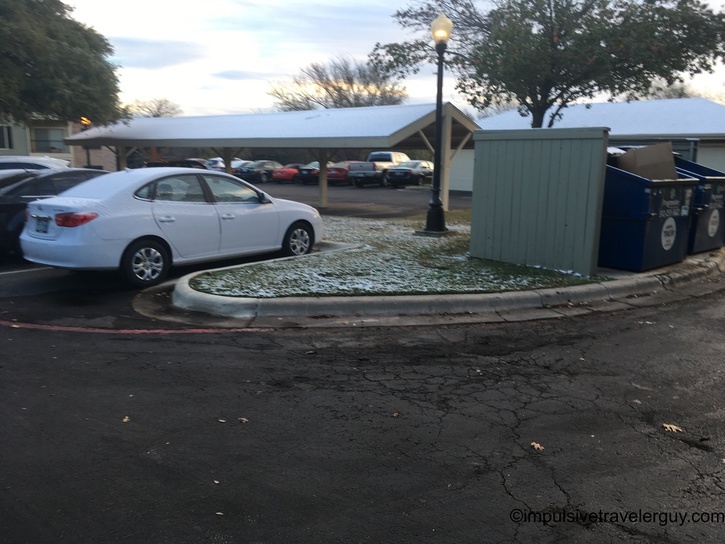 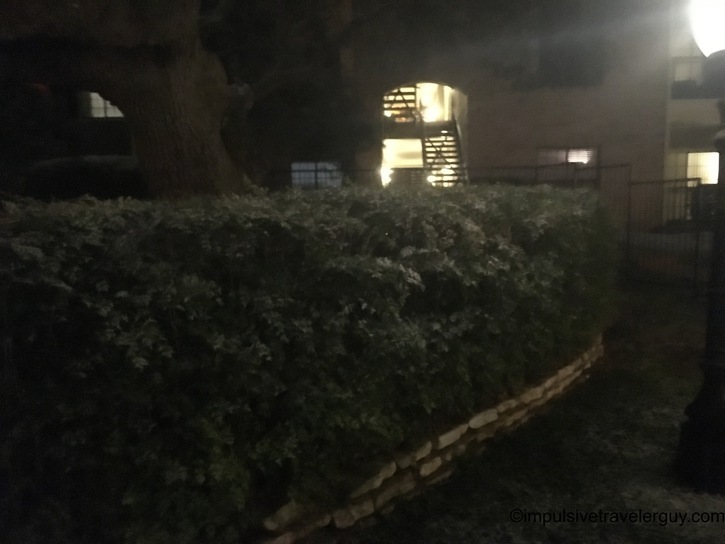 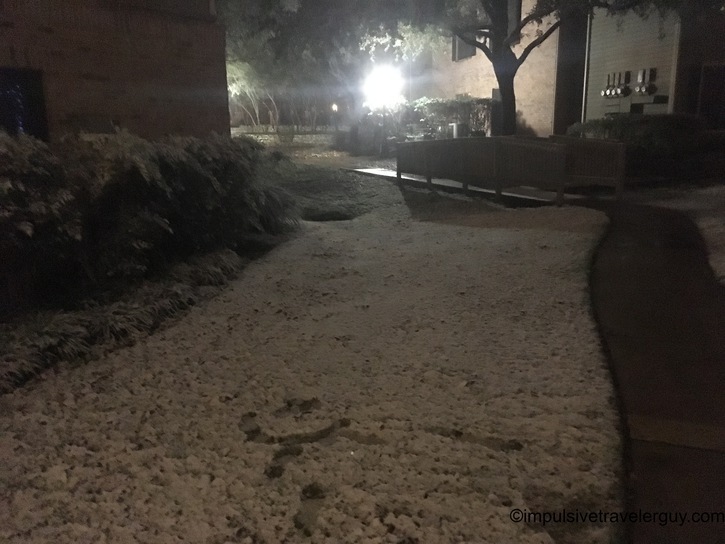 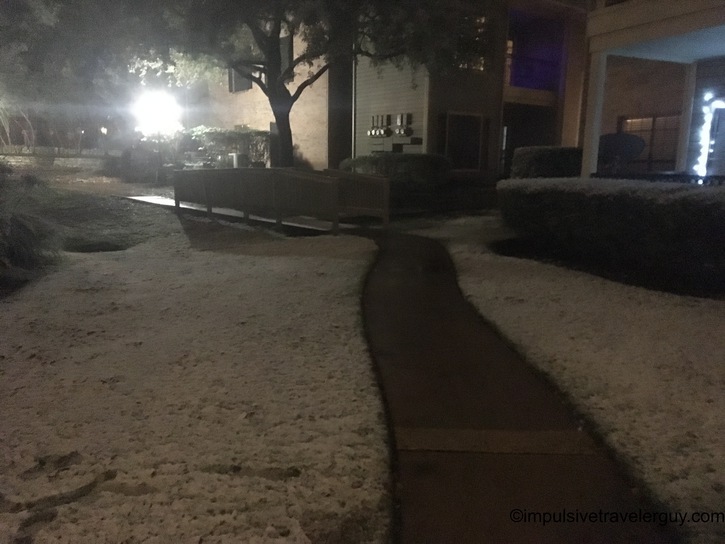 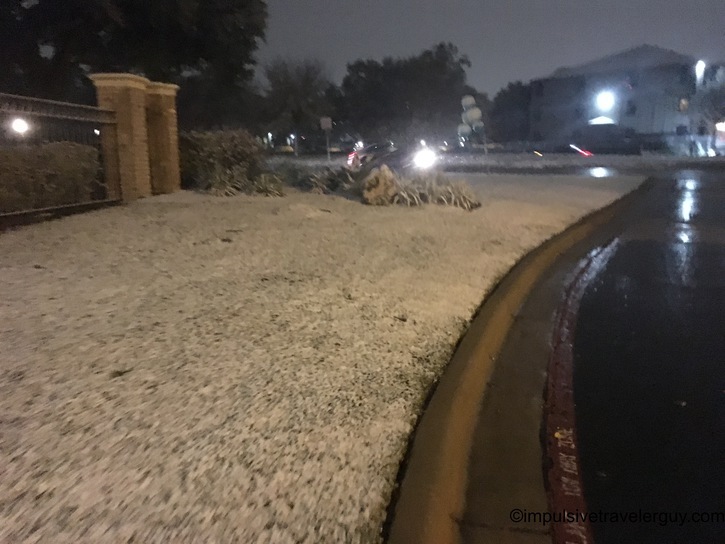 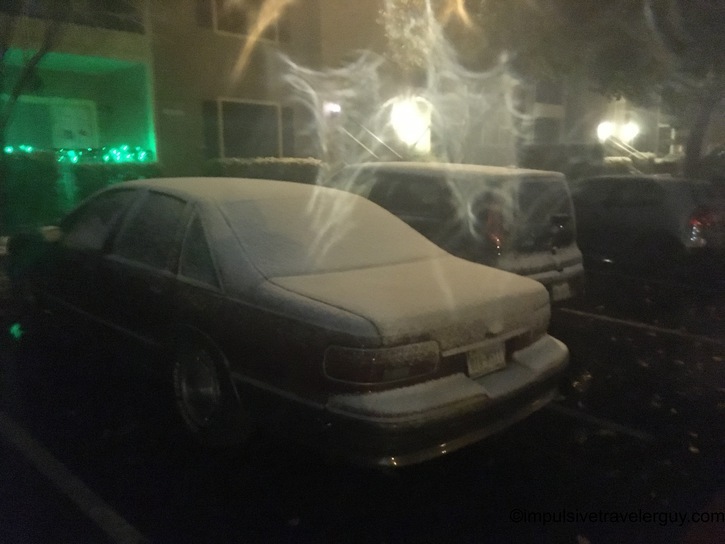 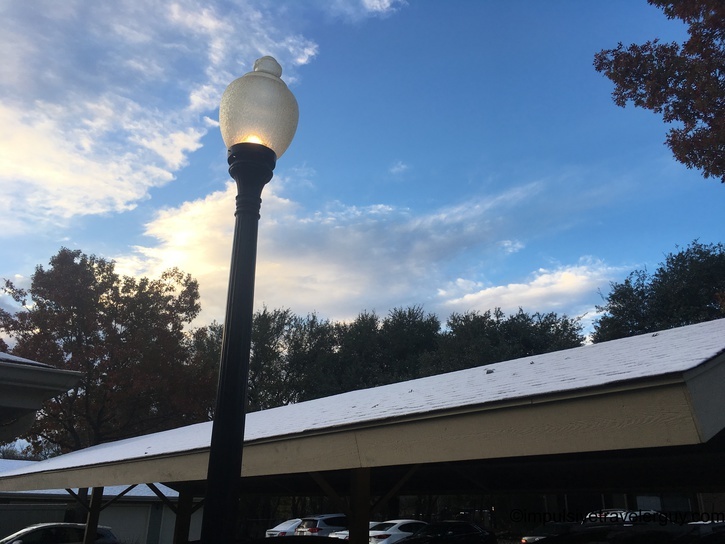 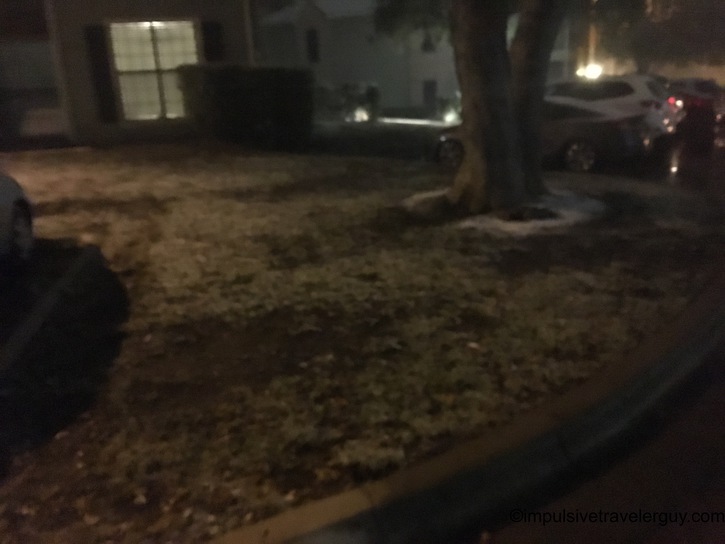 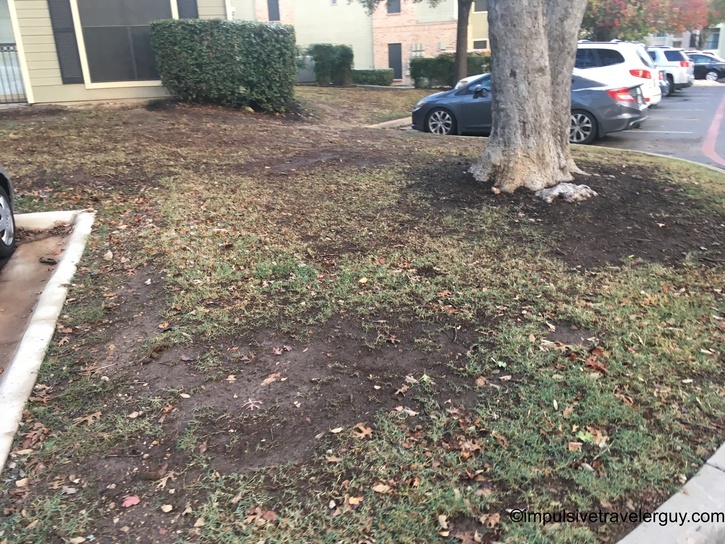 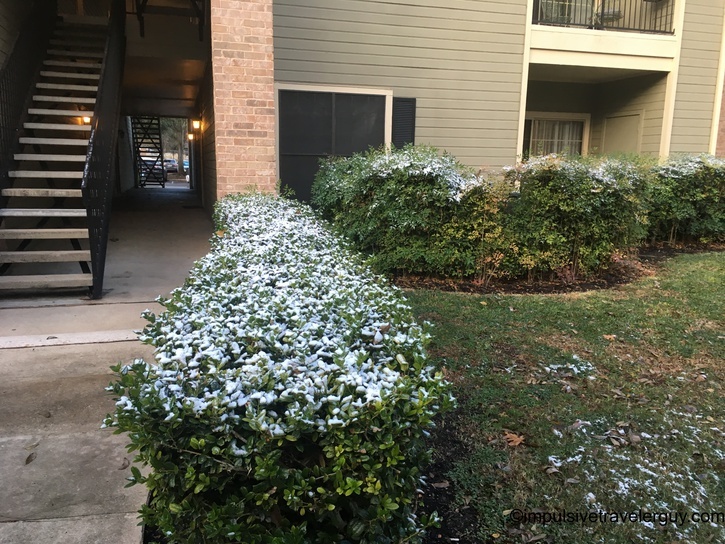 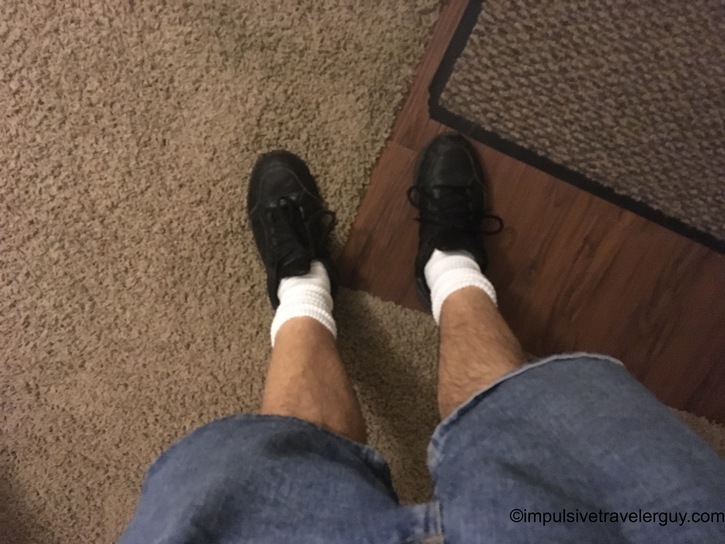 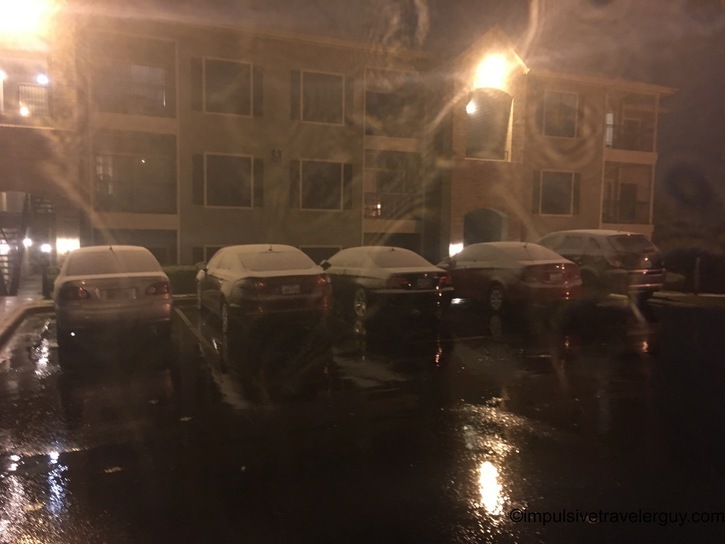 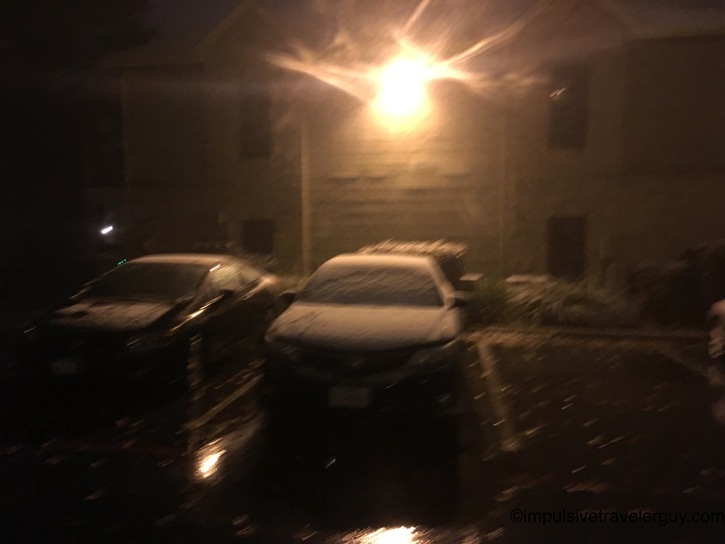 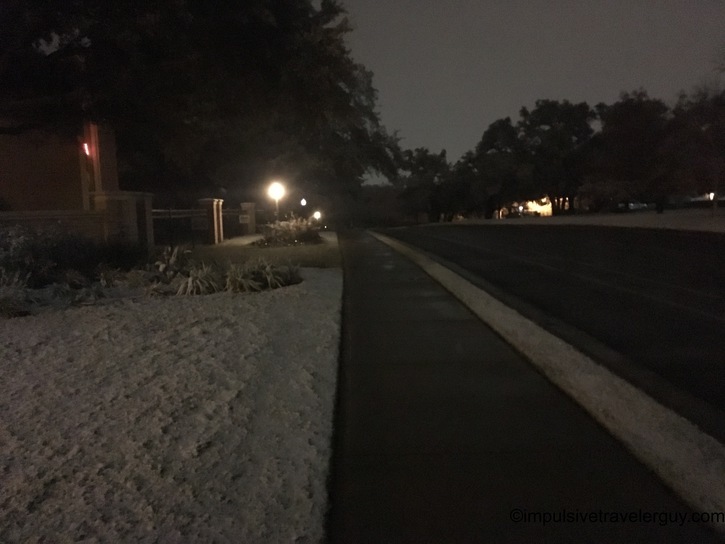 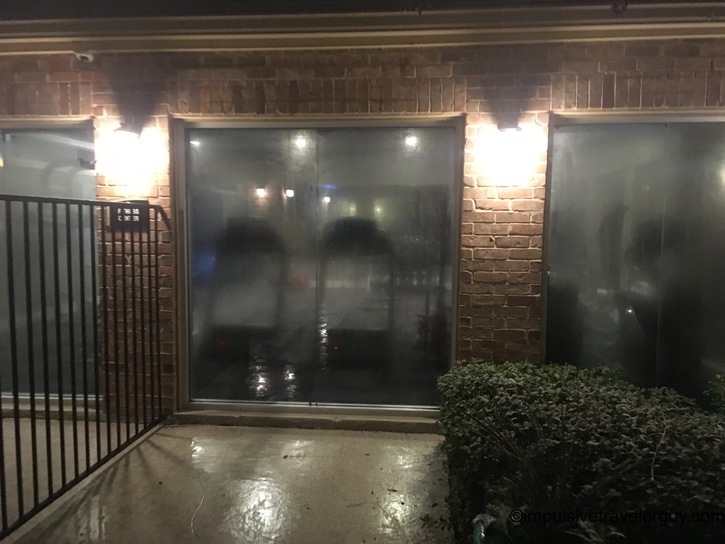 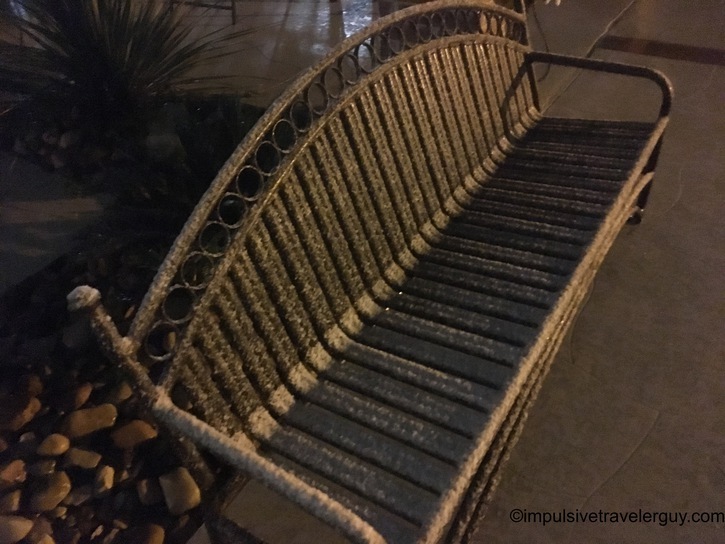 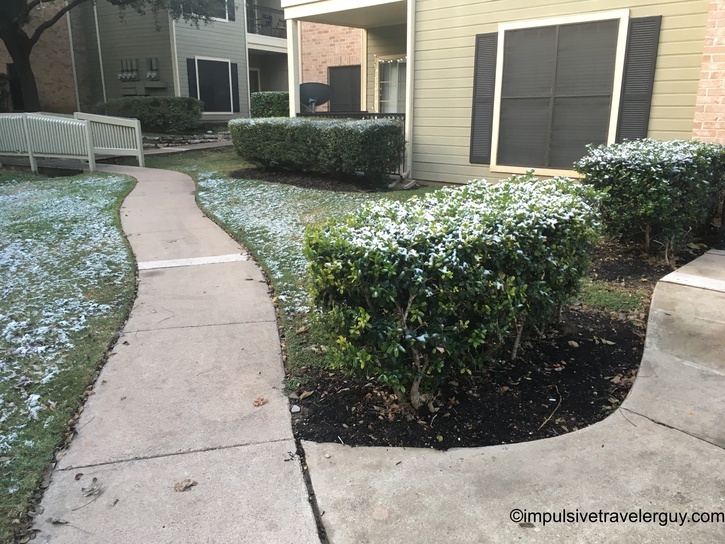 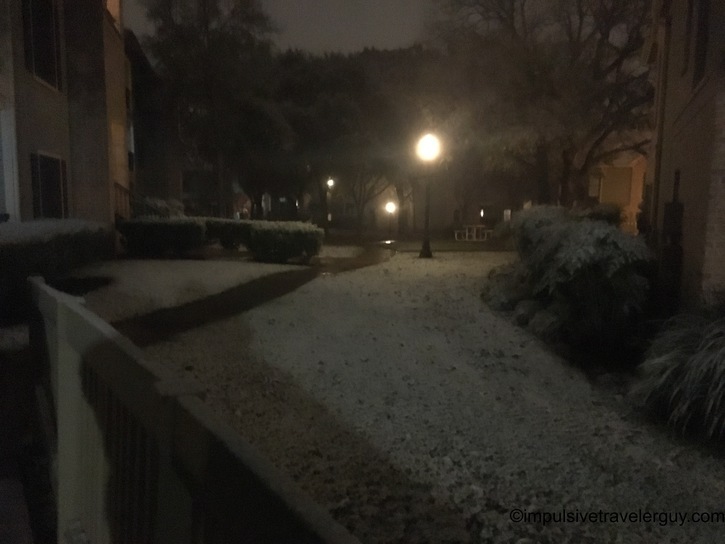 I threw on my shorts (yes very Northern of me), and Victoria and I decided to walk around the apartment complex and look to see if any snow had accumulated. 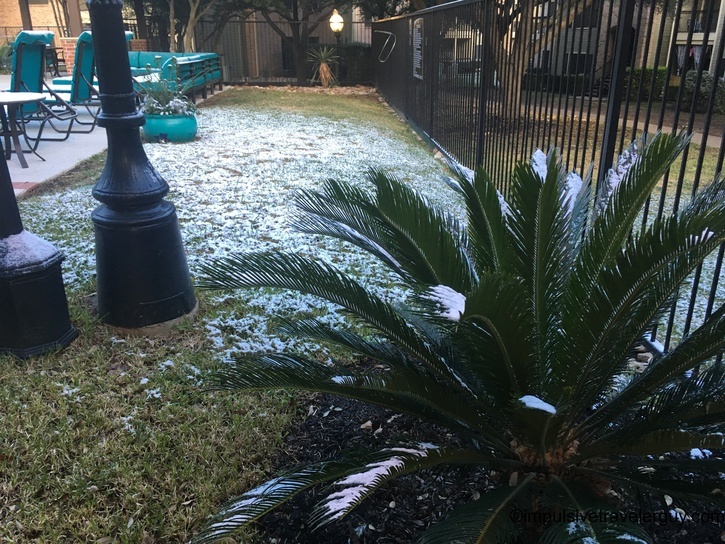 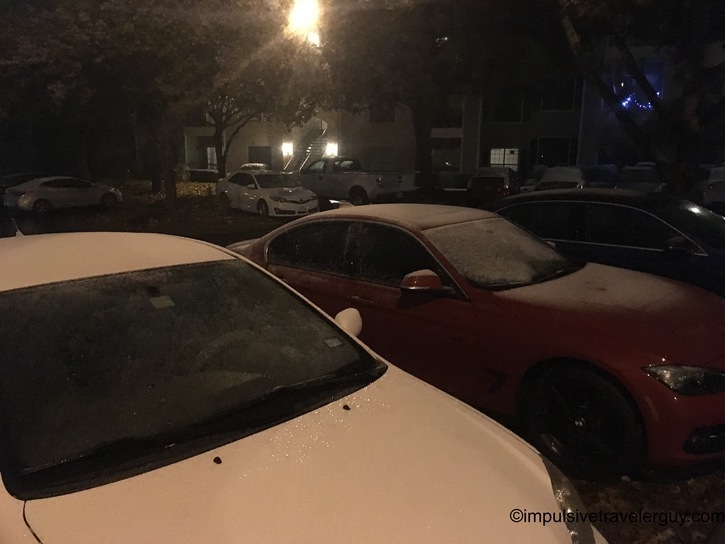 It appears it actually did start accumulating. 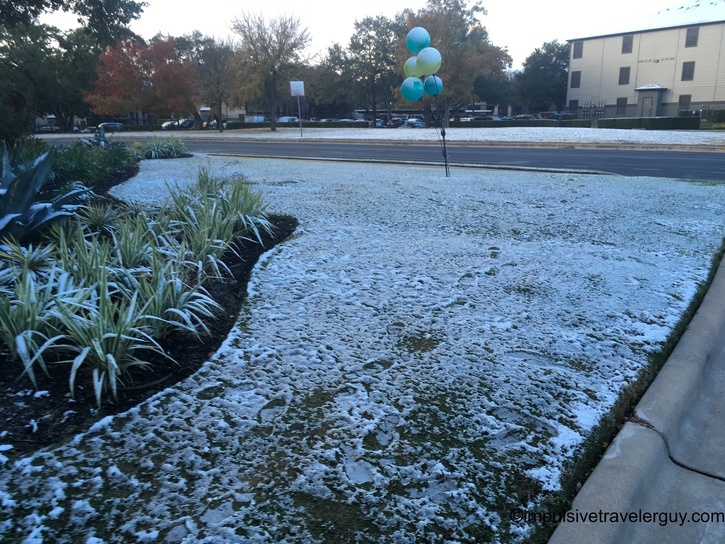 In many ways, this reminded me of a Mid-October snow in Wisconsin. 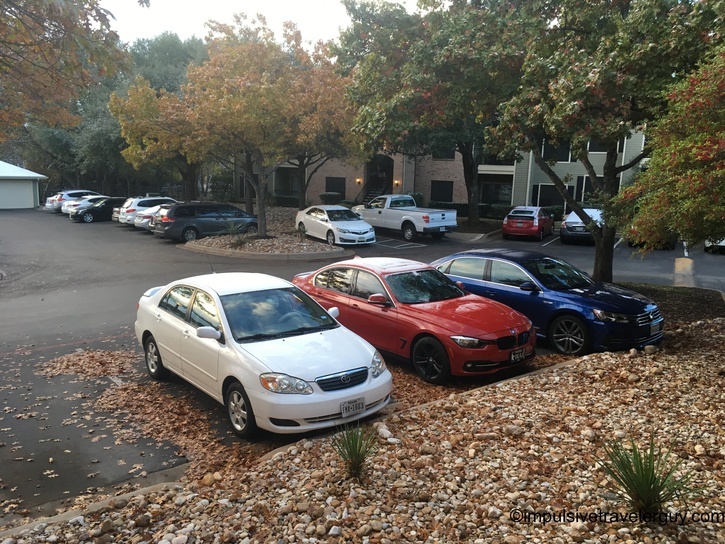 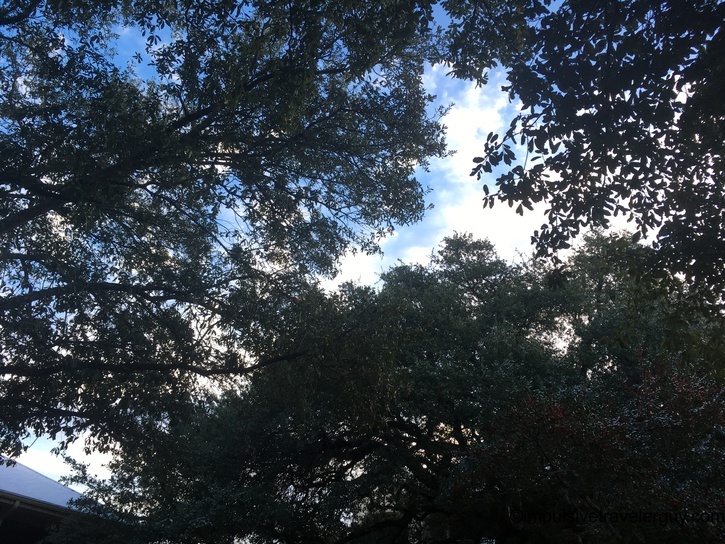 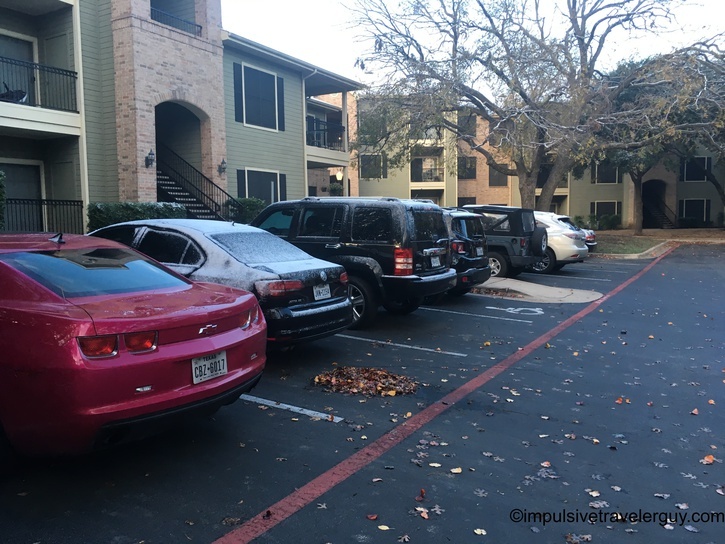 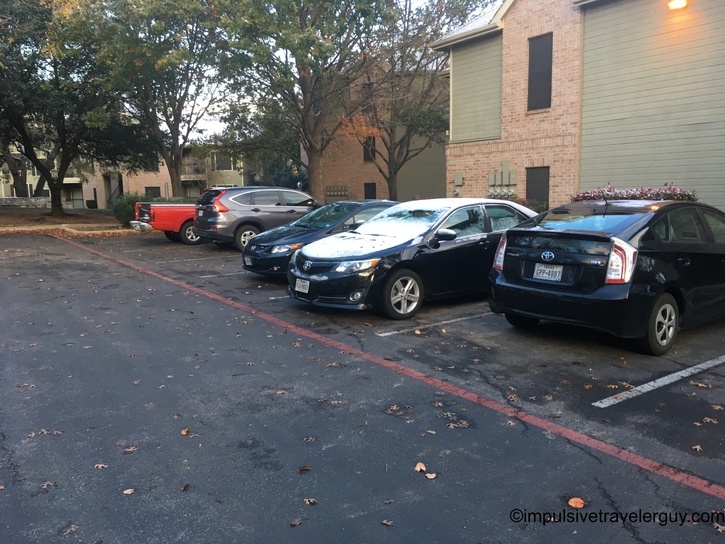 This was the first time my Focus had been covered in Austin since I moved here. 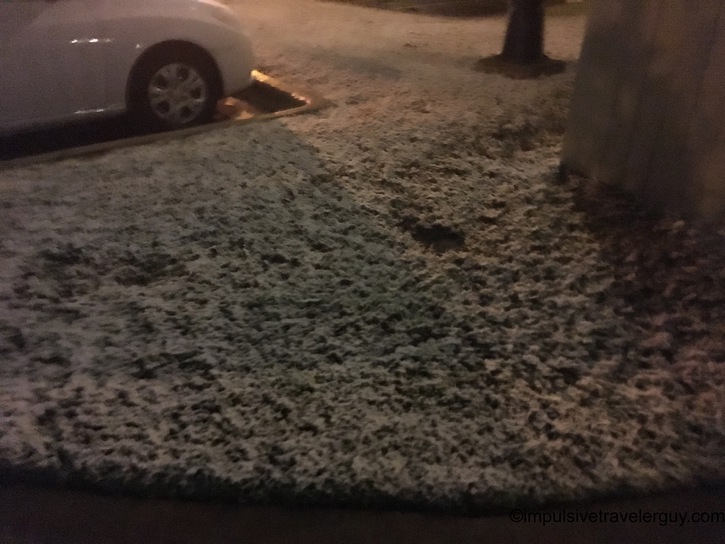 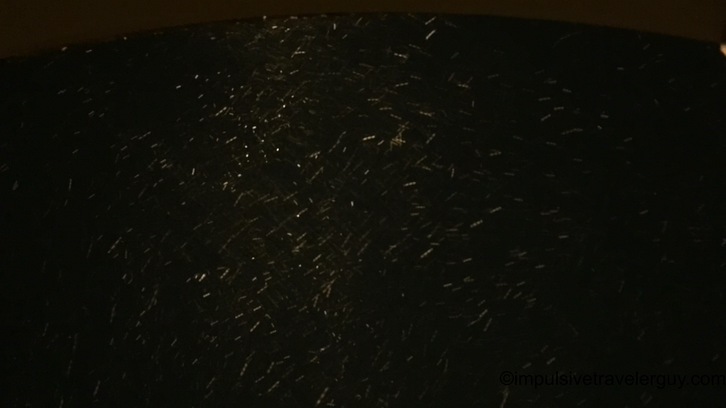 After that, we did a loop around to see how it accumulated on the lawn. 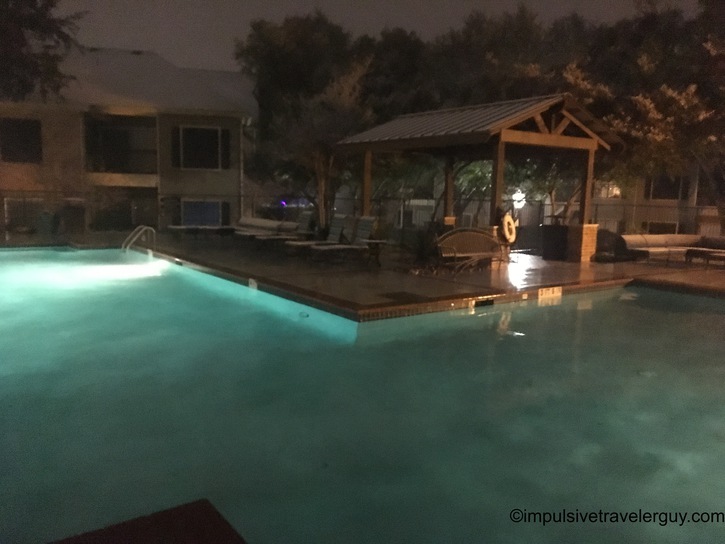 We finally made it to the pool. 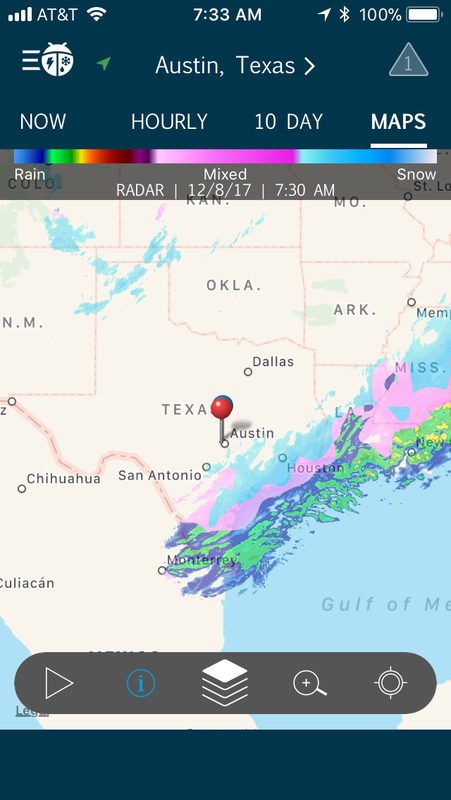 This is the huge contrast between Texas and Wisconsin. 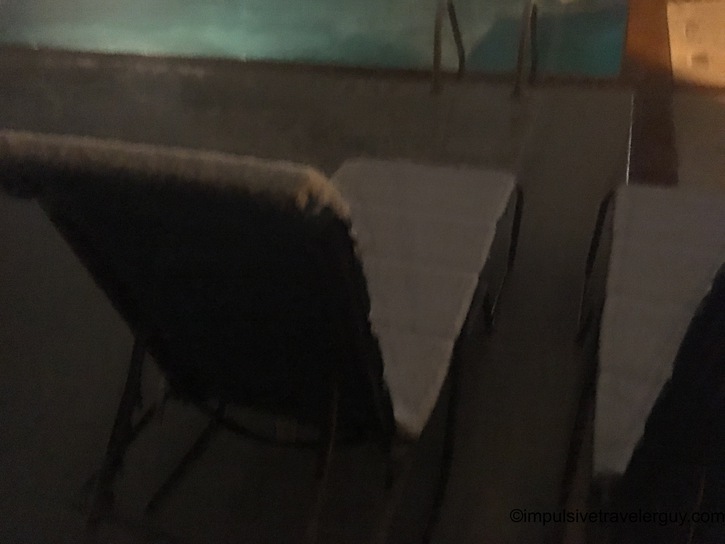 In Wisconsin, the pools would have been winterized and there wouldn’t have been water in them. 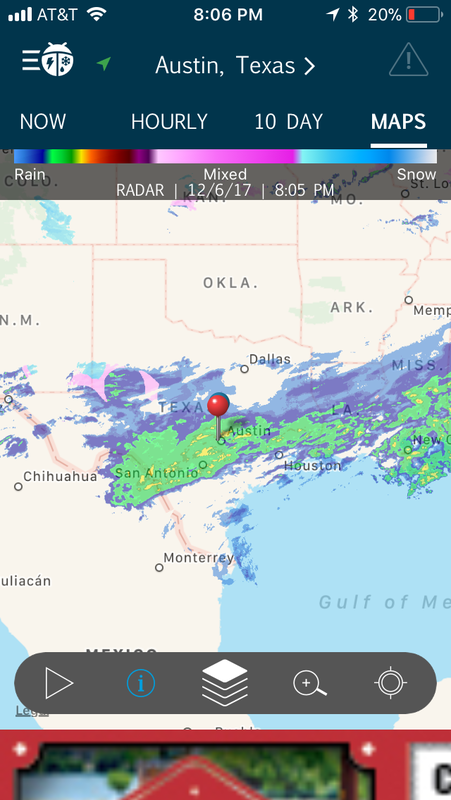 In Texas, I could still go for a swim if I wanted. 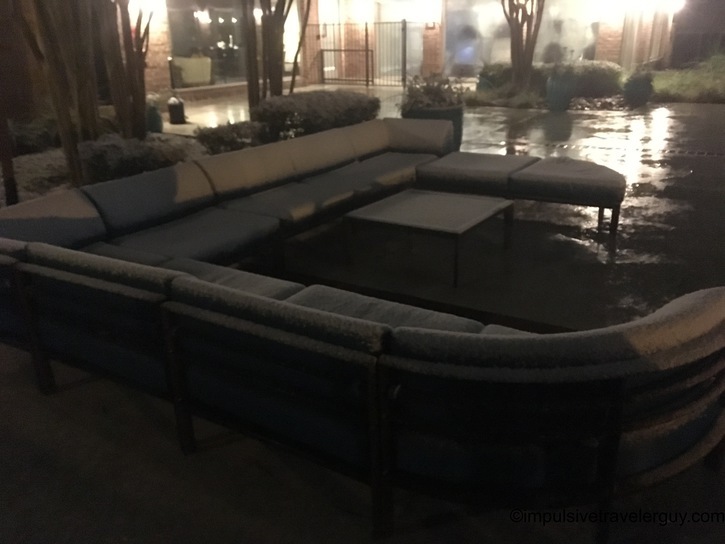 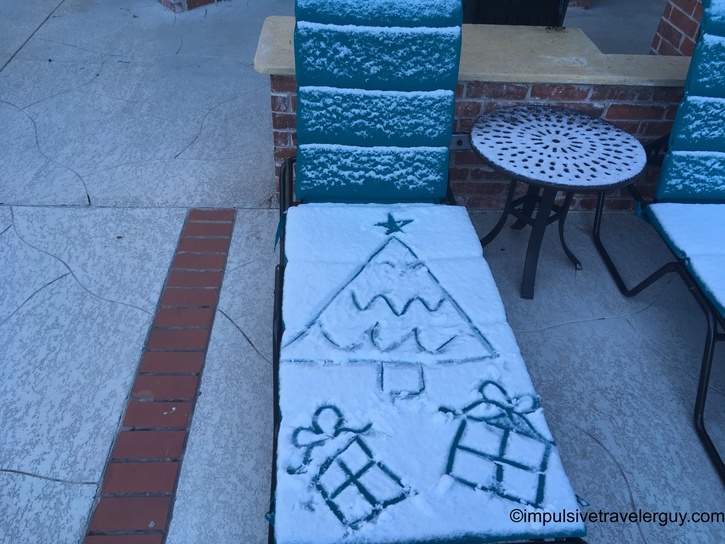 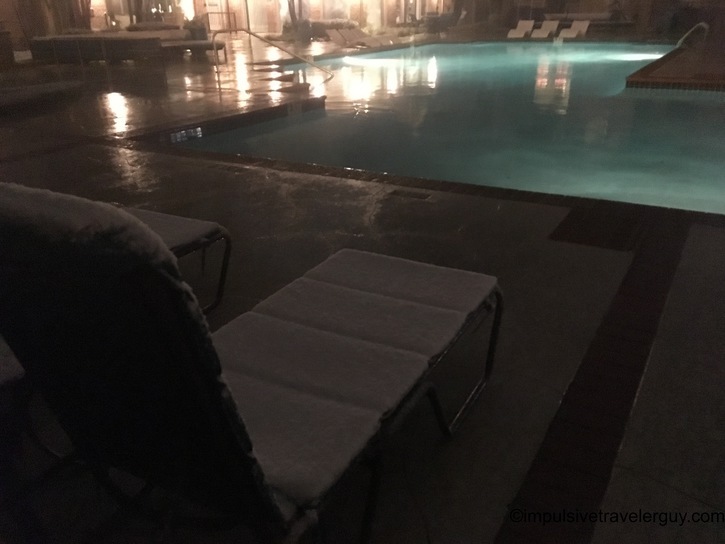 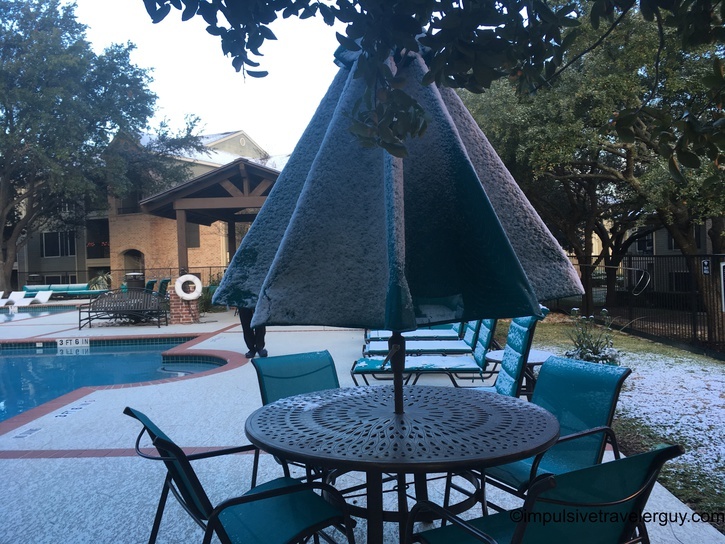 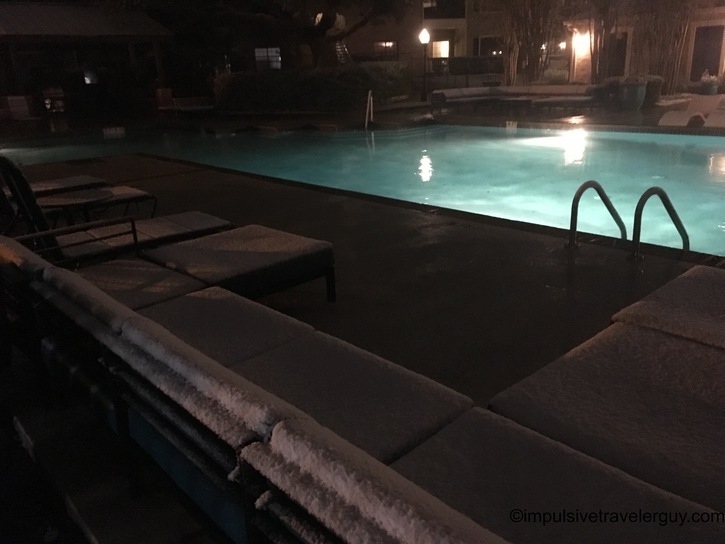 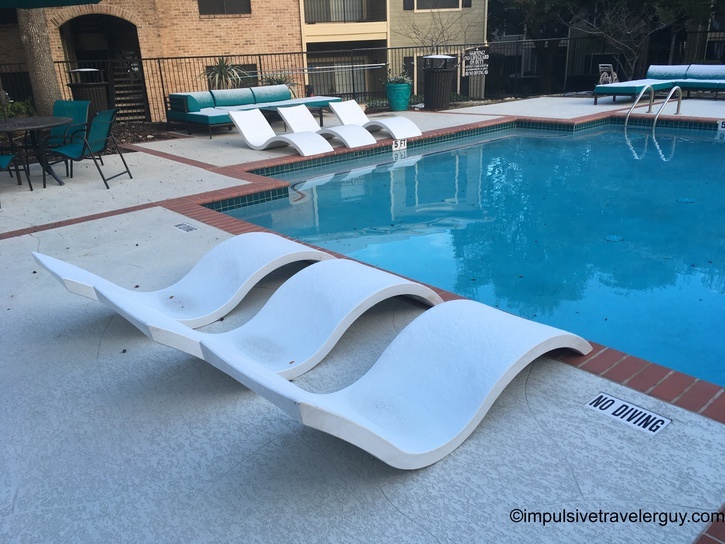 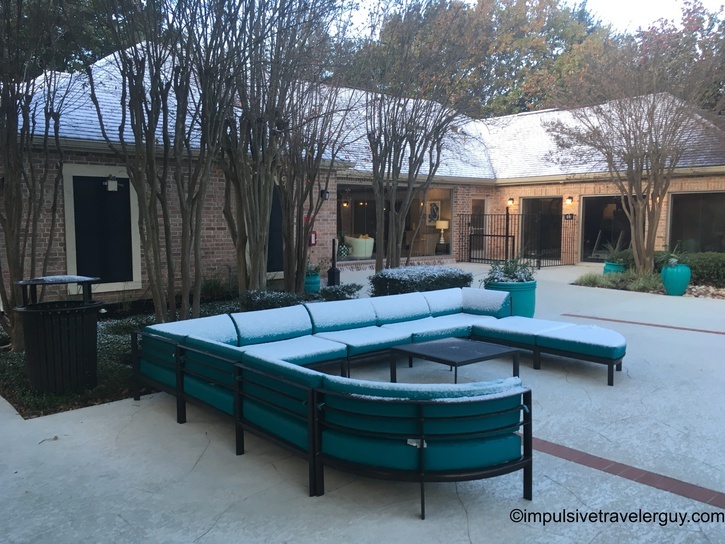 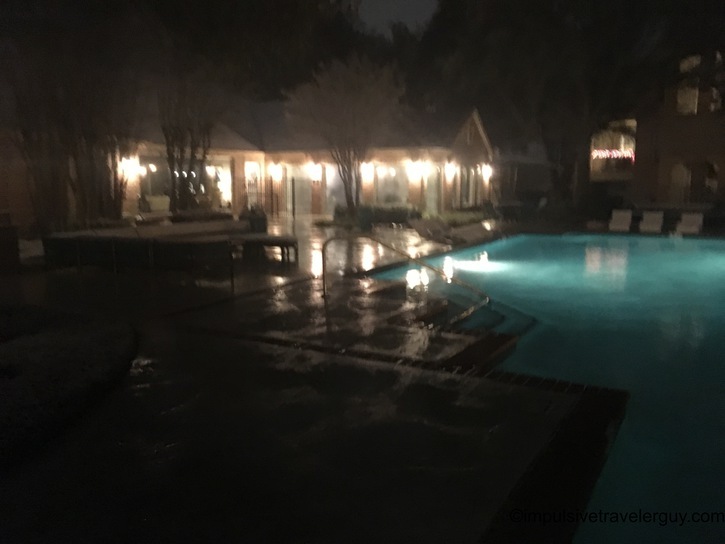 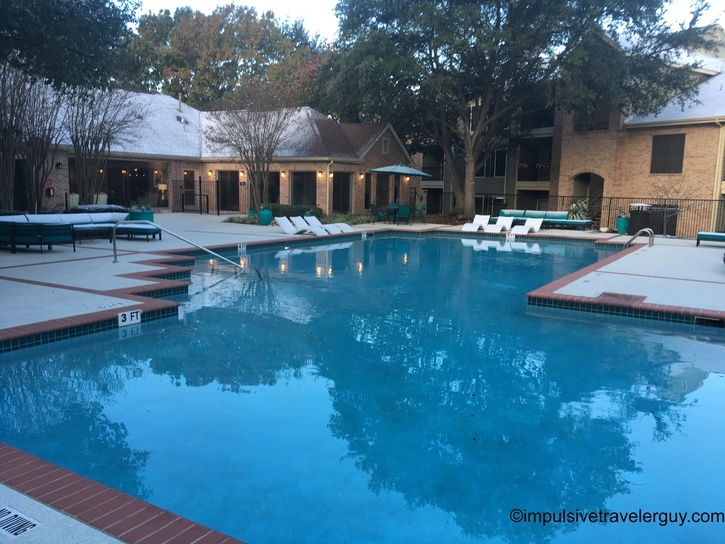 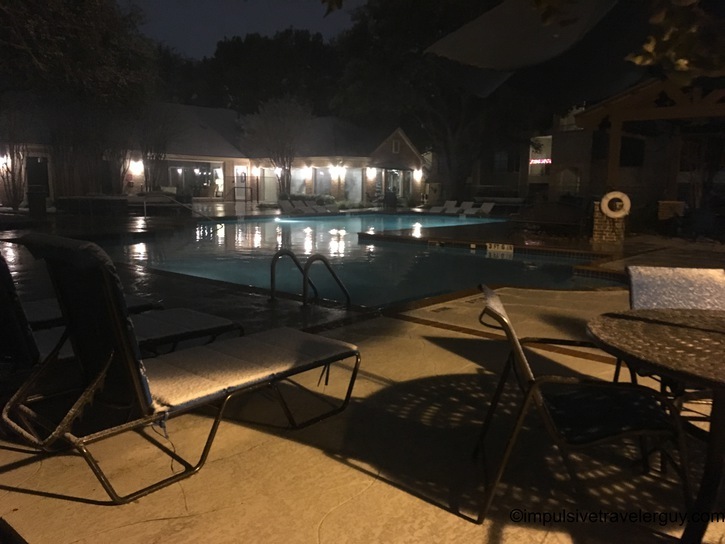 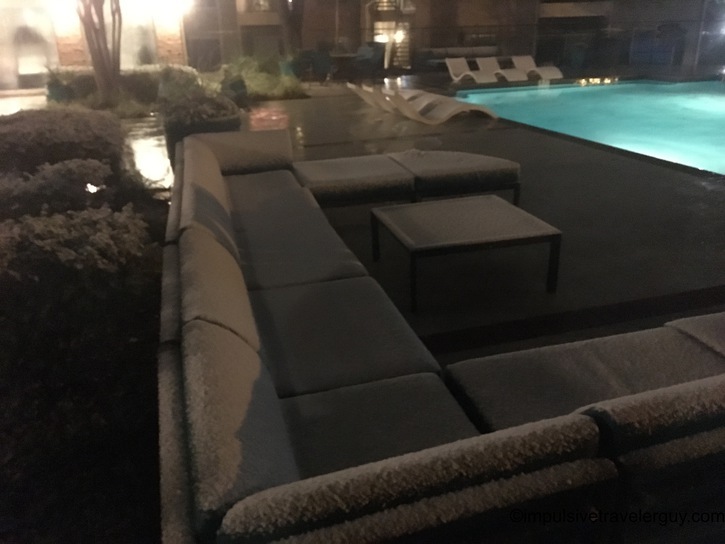 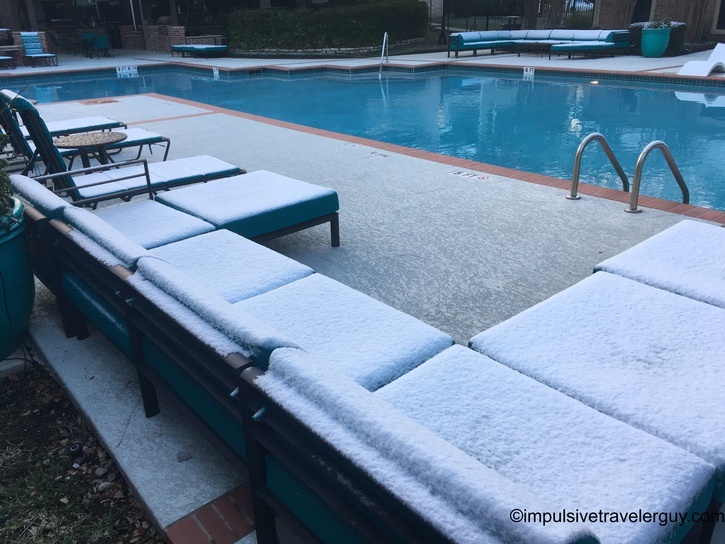 It was kind of cool seeing the snow all over the pool chairs and a pool that was good enough to do a Texas polar plunge in. 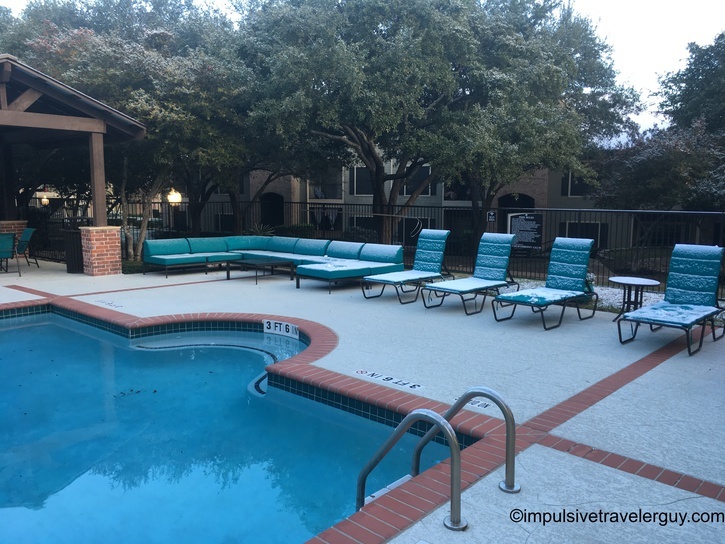 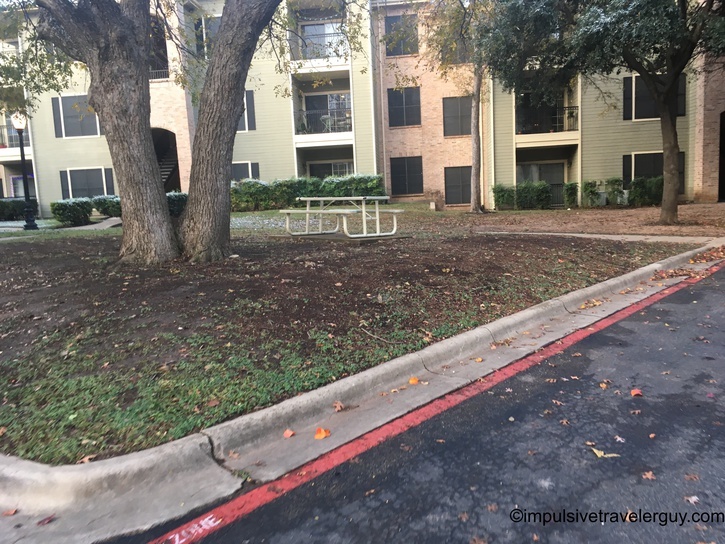 Once we got done walking around the pool, we headed to the front of the apartment. 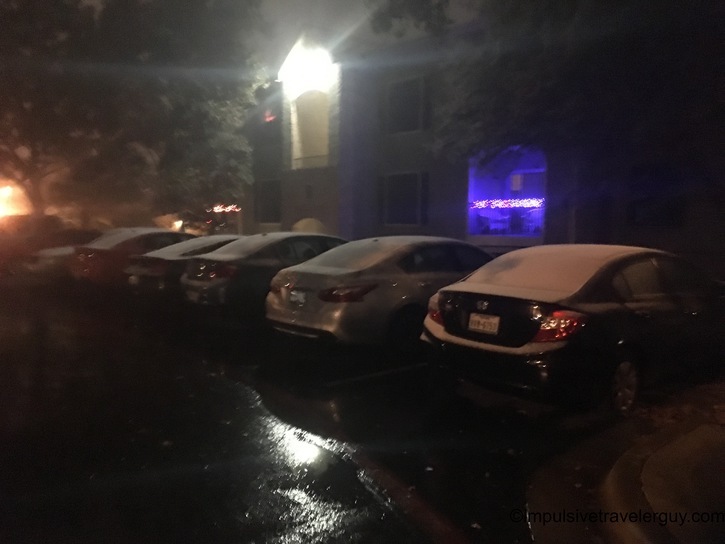 By then, we decided to go to a our apartment and be a bit warmer. 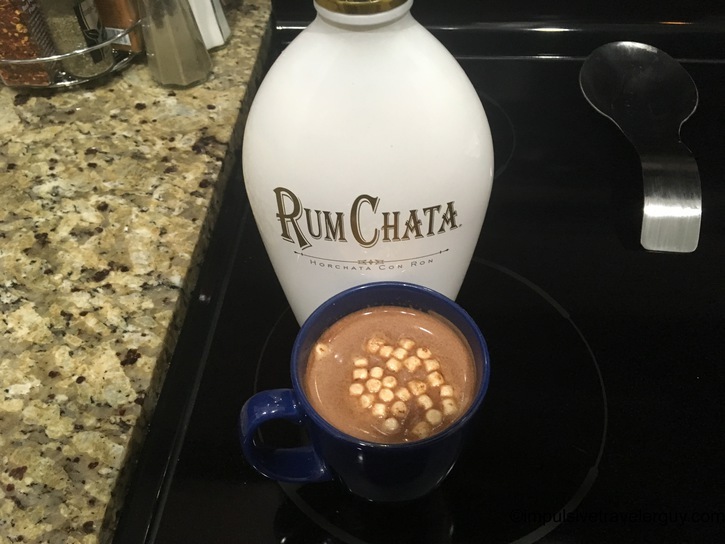 We quick got up some stockings for some Christmas cheer as well as some hot chocolate with RumChata. 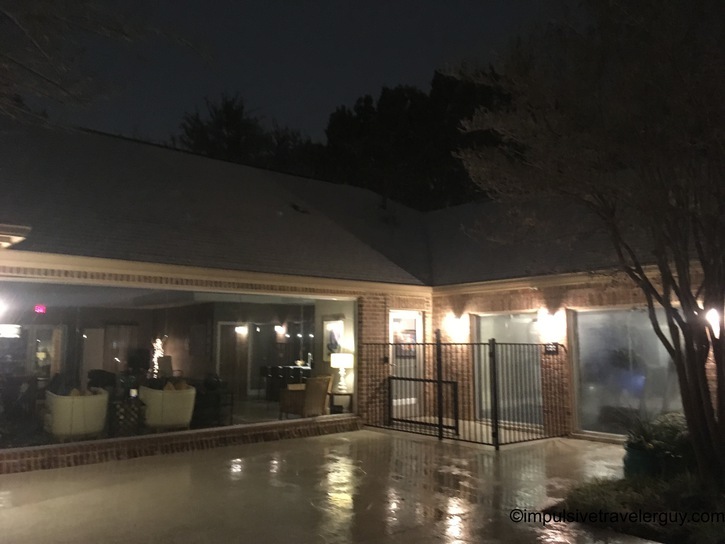 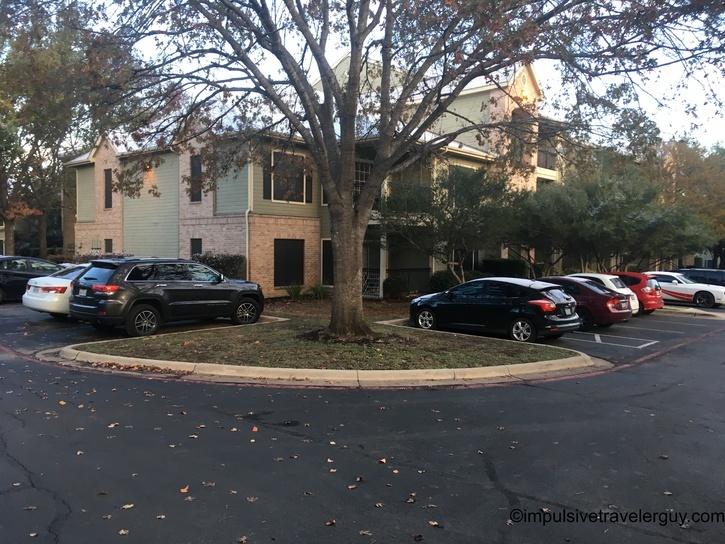 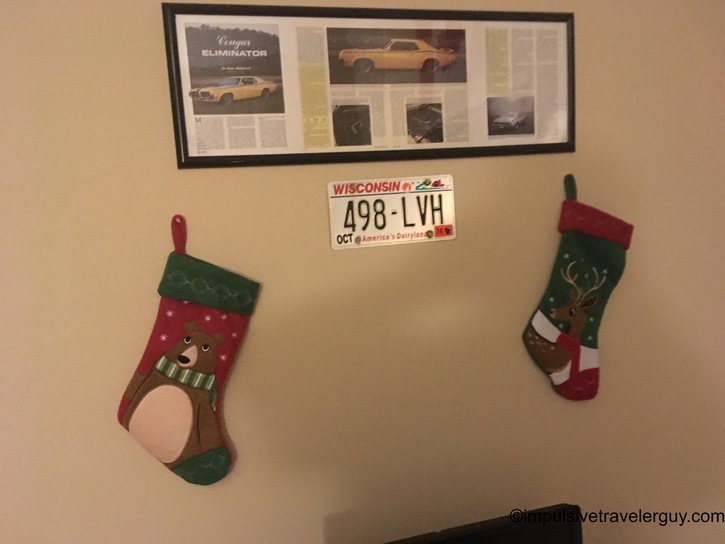 The picture above the stockings is similar to my Cougar and if it were in Texas now, it’s something I wouldn’t drive in the snow, just like I didn’t in Wisconsin. 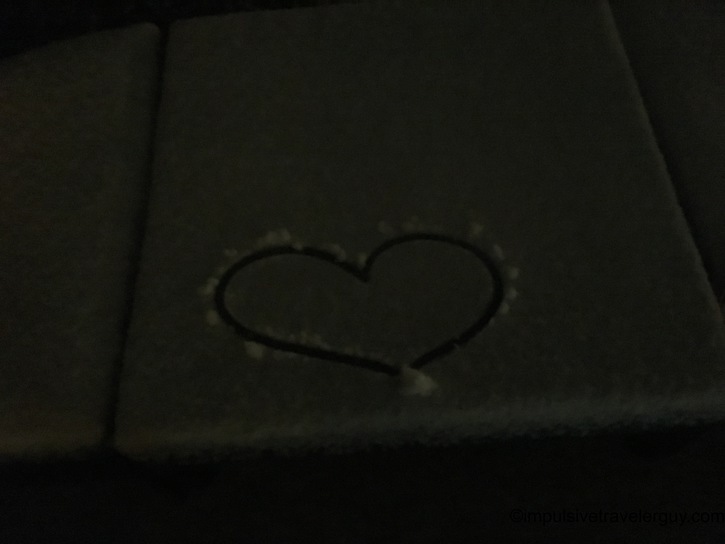 Seeing that the snow was sticking on the ground, I decided to go to bed. 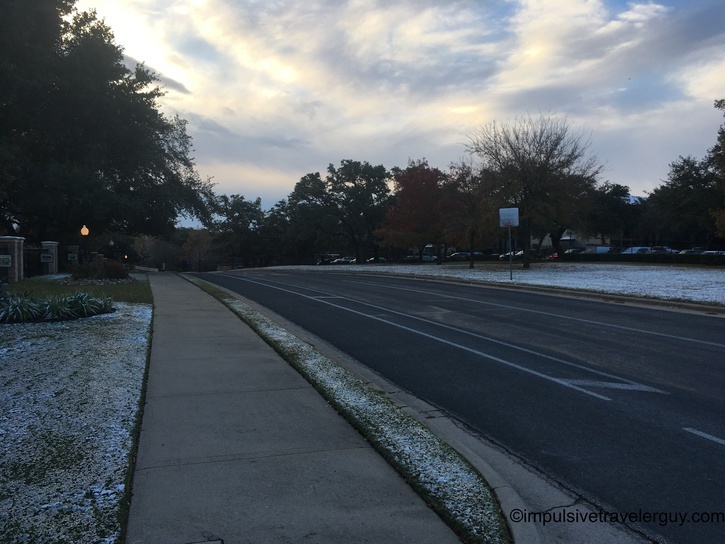 The next morning, I walked around the same route and got a few pictures before the snow melted. 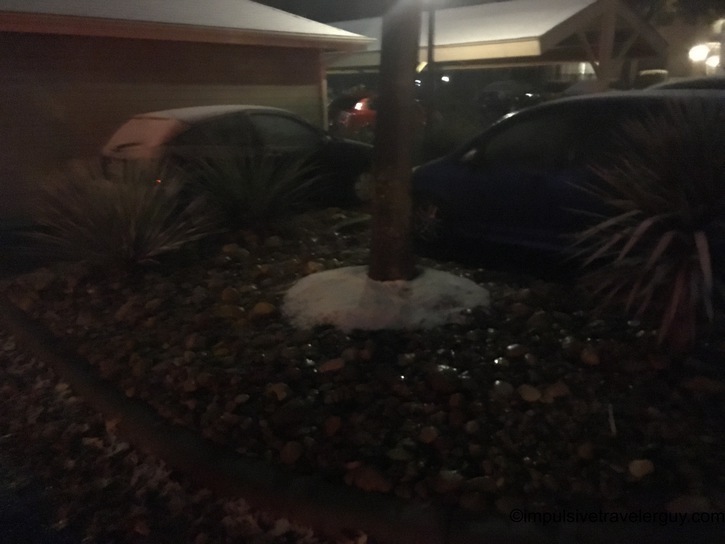 The forecast was well above freezing and I could already see the snow slowly disappearing.